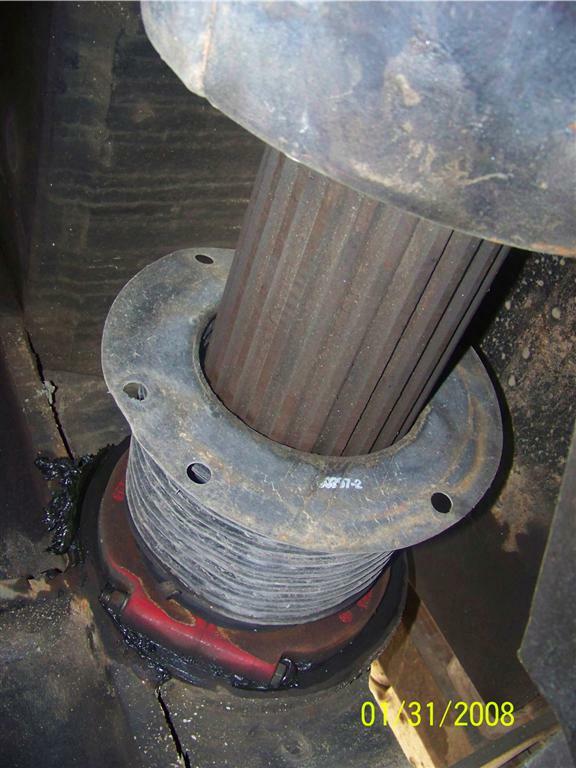 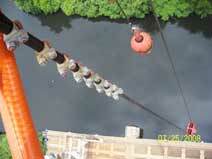 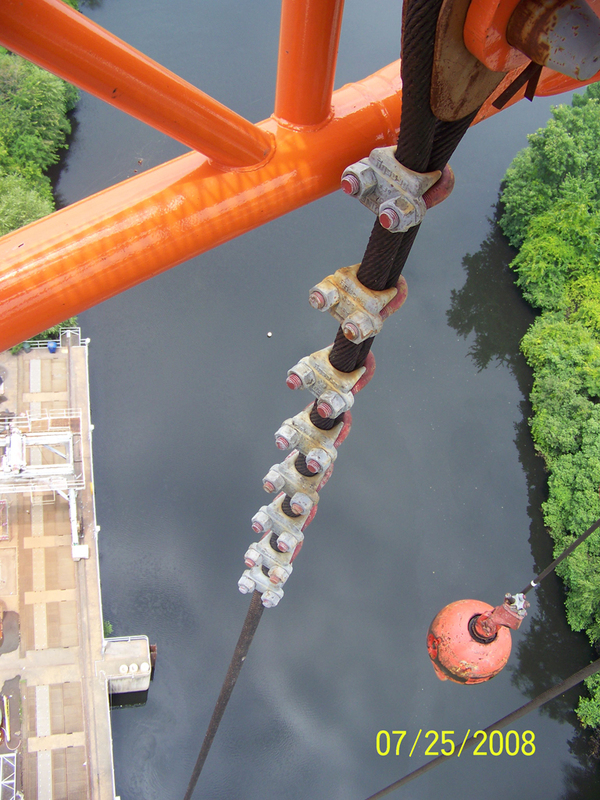 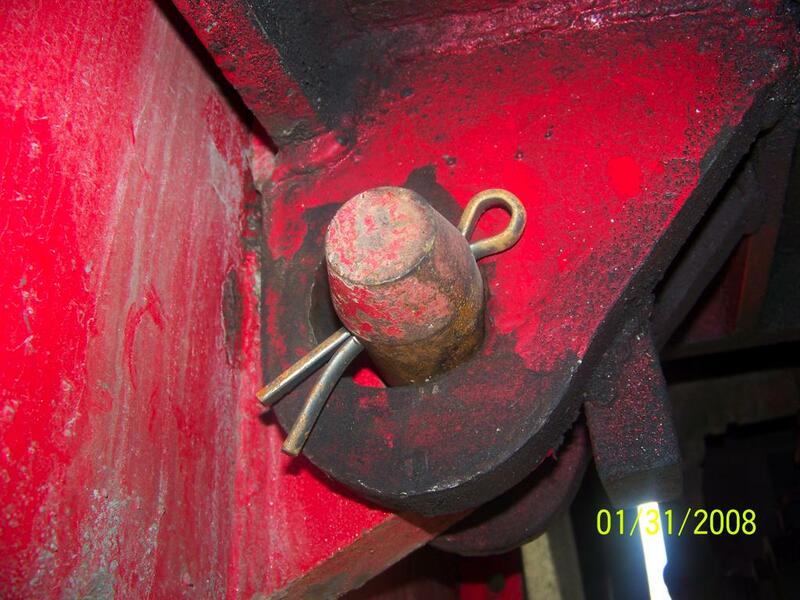 Cable clamps used on a tower luffing crane. 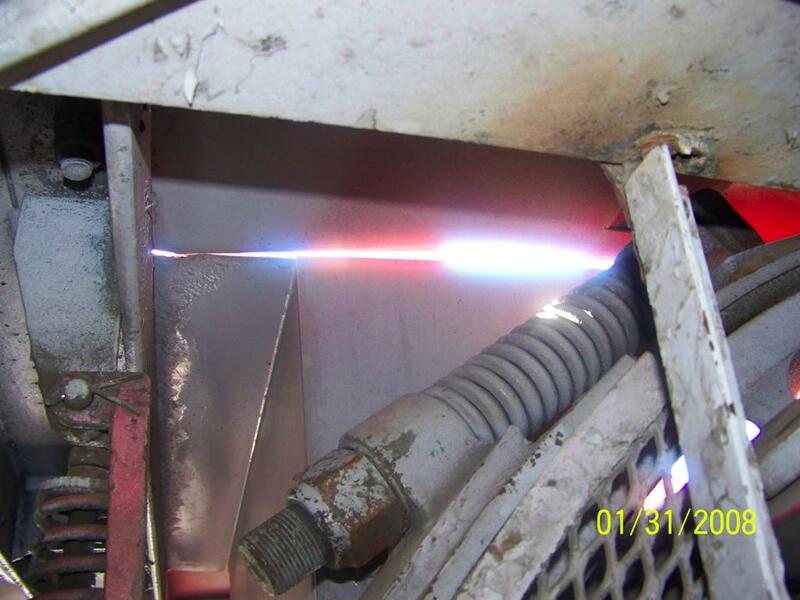 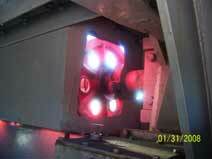 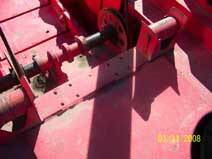 Two parts of line can pick over 50 tons. 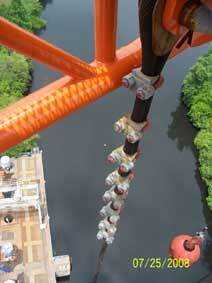 I wonder if the cable clamps at the dead end were ever retightened. 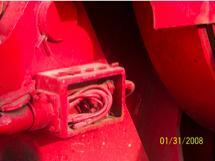 Or can cable clamps be used ??? 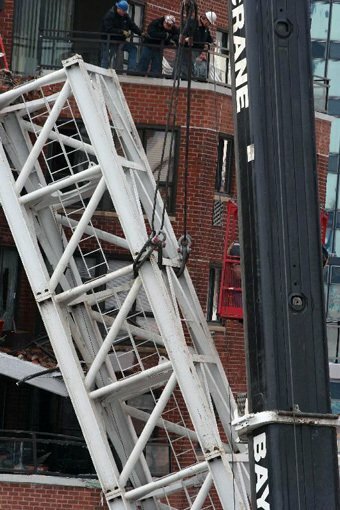 You think the Tower Crane Rental Company would know. 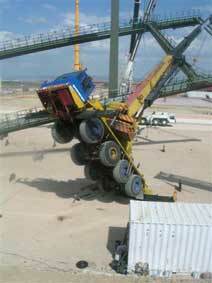 Another crane mishap!!! 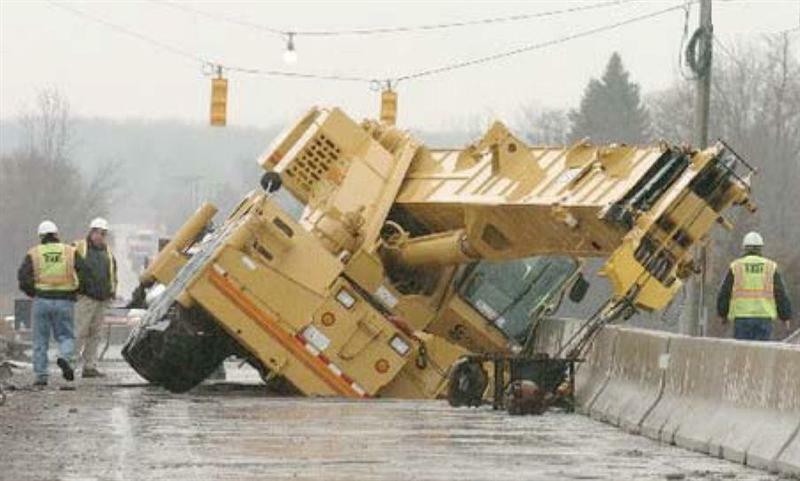 I don’t know where it happened, but it did. 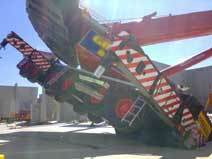 9 Day Old 250-ton Leibherr Crane (never used before) with $4mil price tag. 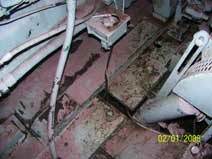 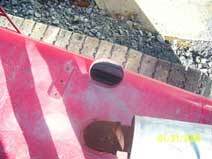 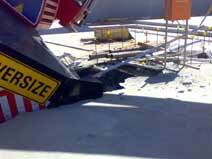 Failure of back propping beneath 200mm thick concrete deck. 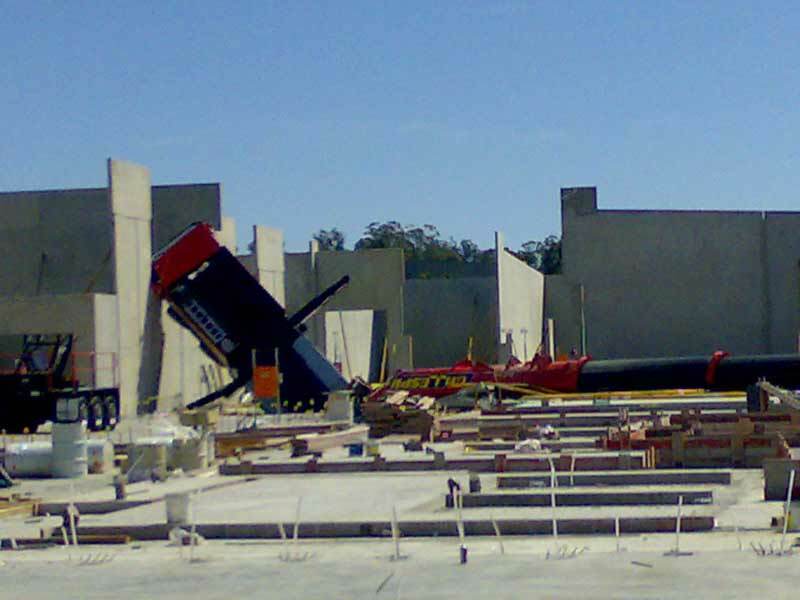 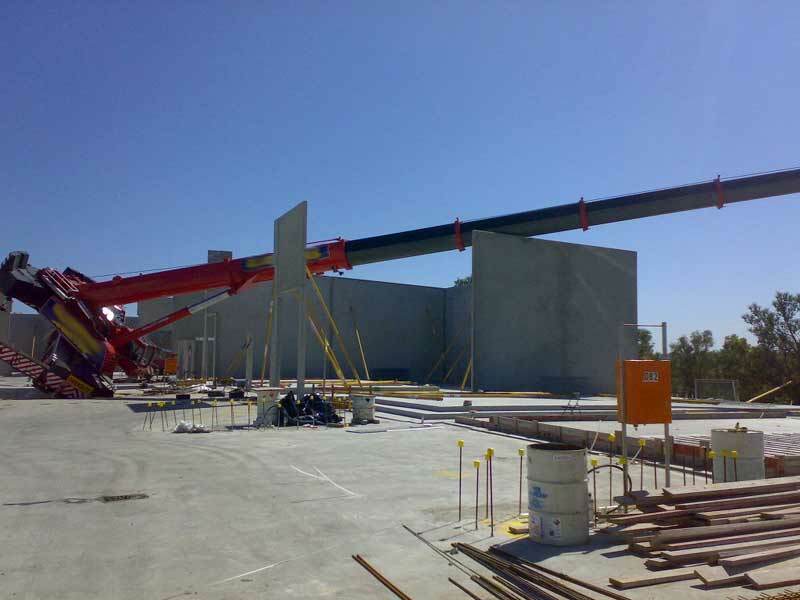 The crane support outrigger punches through slab causing the crane to lose balance and collapse across the site and onto adjoining property. 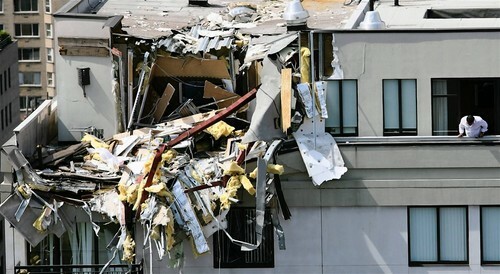 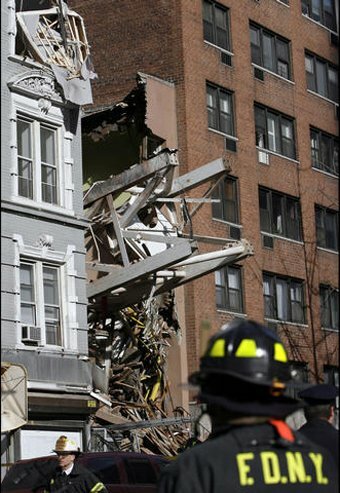 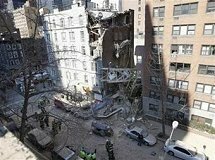 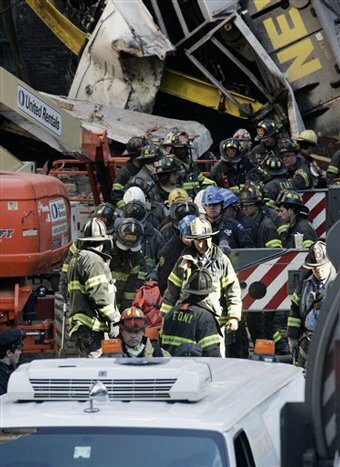 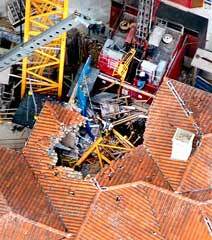 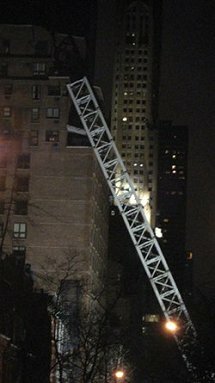 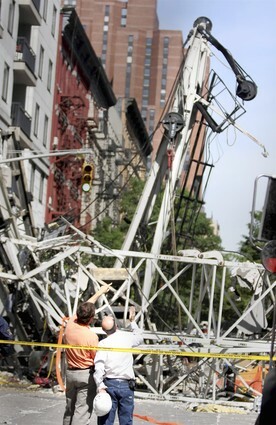 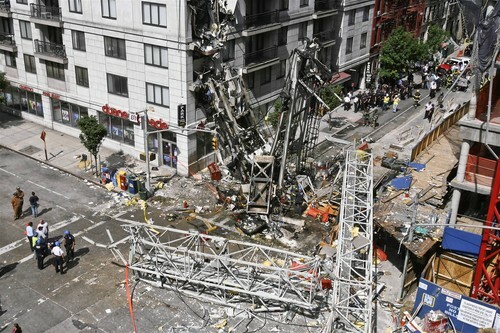 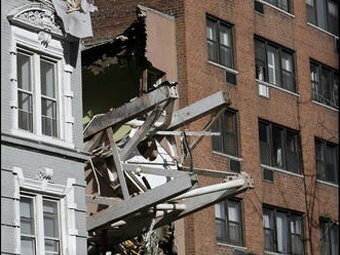 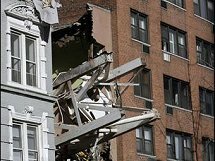 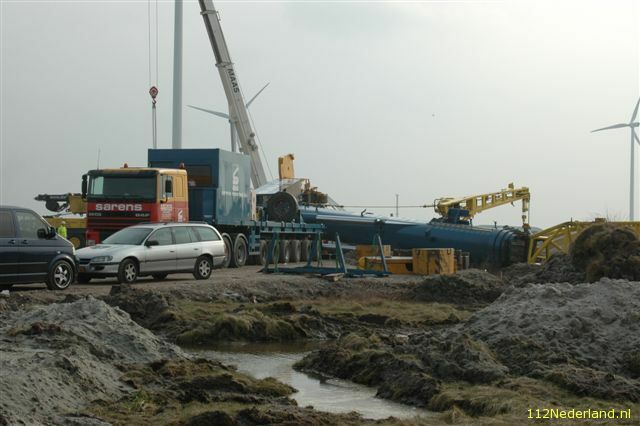 The crane balanced in the air for approximately 1 hour before the entire right & boom collapsed completely across the site, and as a result, the rig falls through to the basement level. 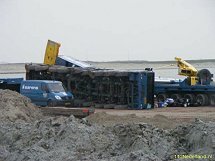 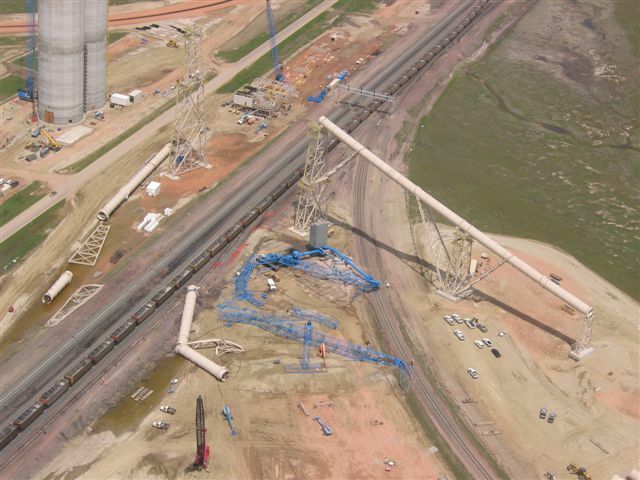 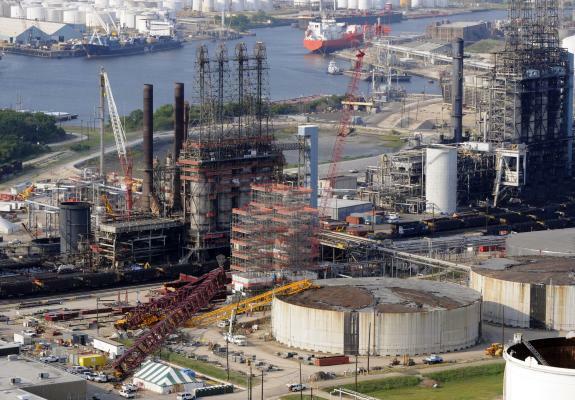 Major Crane Accident from Houston, TX. One worker was killed and three were injured today in a crane accident at a power plant construction site just north of Weston in Platte County. 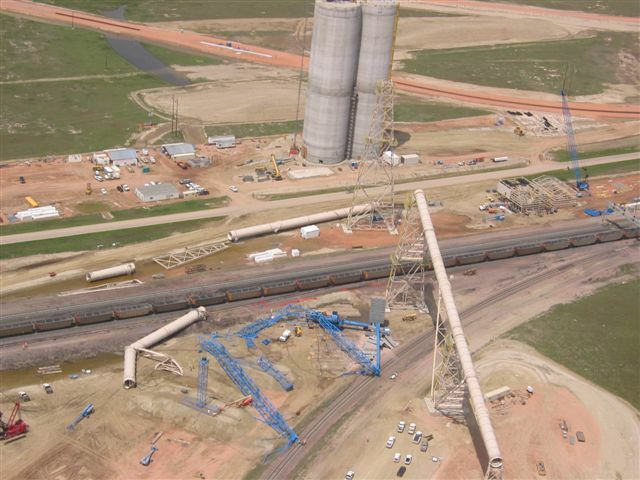 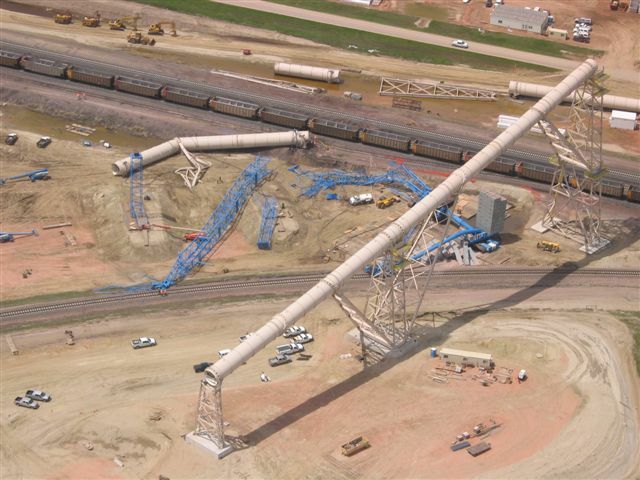 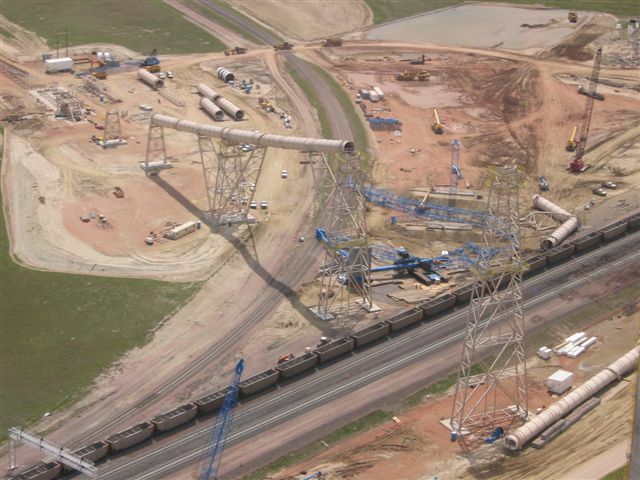 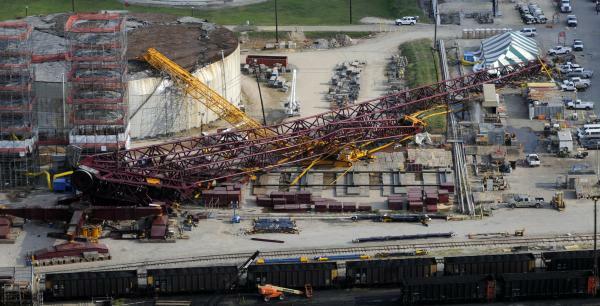 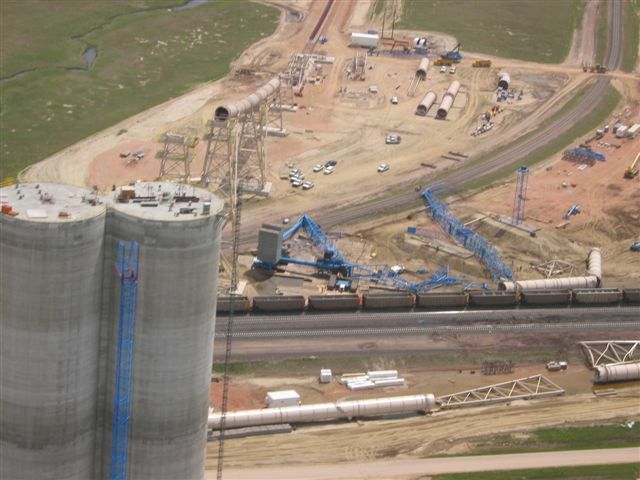 GILLETTE—The 2.7 million-pound crane— the world's largest crane in handling capacity — collapsed Saturday near Wright, sending three injured people -- two critically — to hospitals and blocking a rail line at the Black Thunder coal mine. 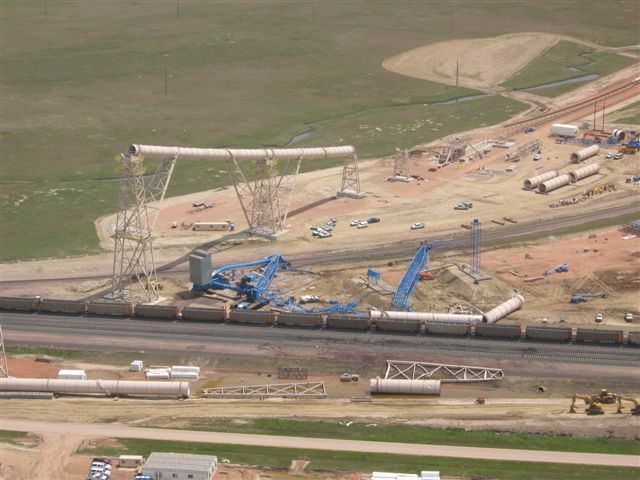 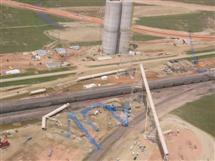 Federal Mine Safety and Health Administration inspectors and crane company representatives were traveling to the mine, and BNSF Railway crews were expected to clear the tracks by late Saturday. Both lanes of M-14 were open this morning in eastern Washtenaw County after being closed Thursday afternoon when a construction crane punched through the deck of the Gotfredson Road bridge over the freeway. One lane of the bridge also is open. 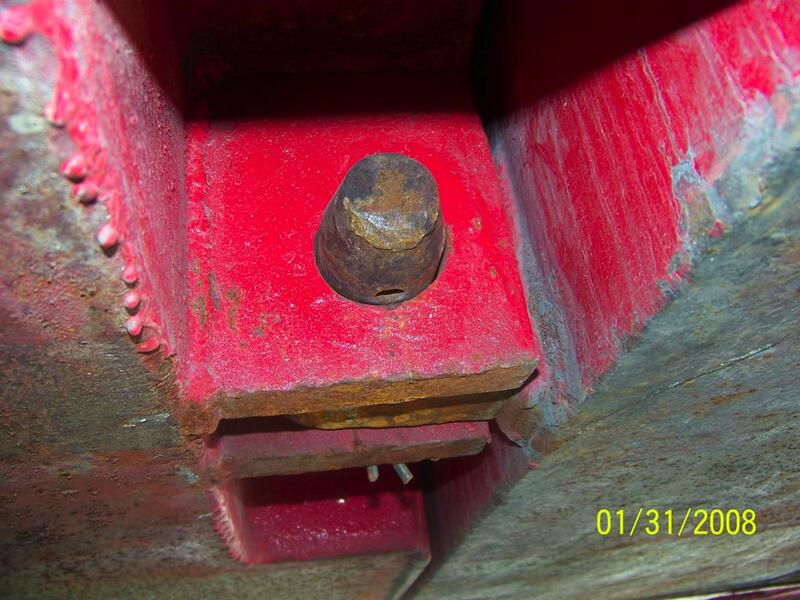 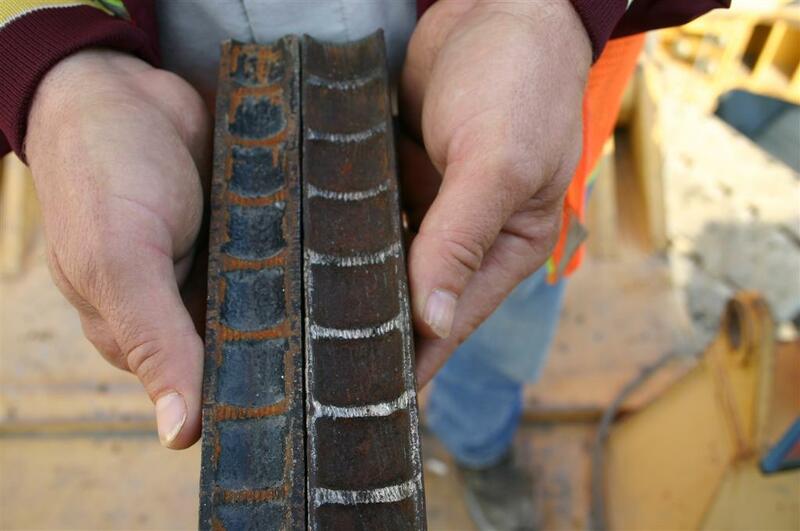 The 65-ton crane that was on the bridge for construction work sent debris onto the roadway below when it's tire punched through the bridge deck about 1 p.m., according to Michigan Department of Transportation spokeswoman Kari Arend. 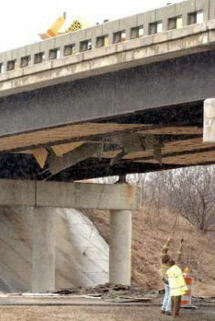 M-14 was closed in both directions at the bridge and traffic was routed around the bridge using the exit ramps. 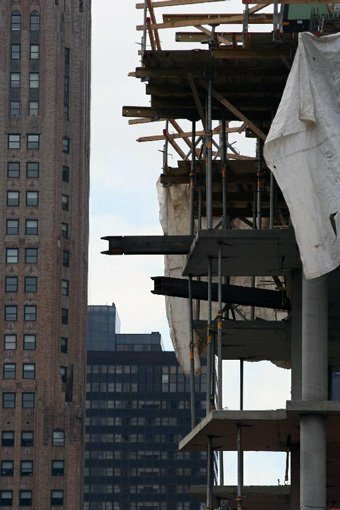 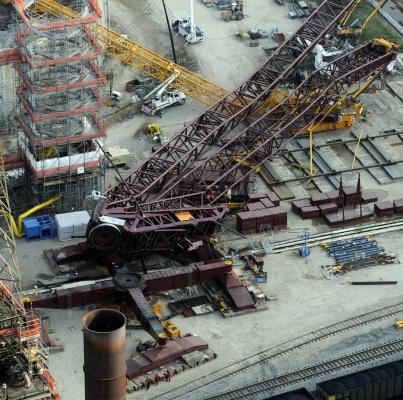 A Detroit crane company sent a 500-ton crane to pull the smaller crane off of the bridge. Traffic was backed up for miles as the second crane made its way to the scene, state police Sgt. 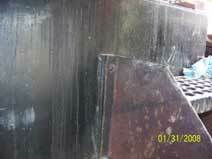 Mark Royal said. 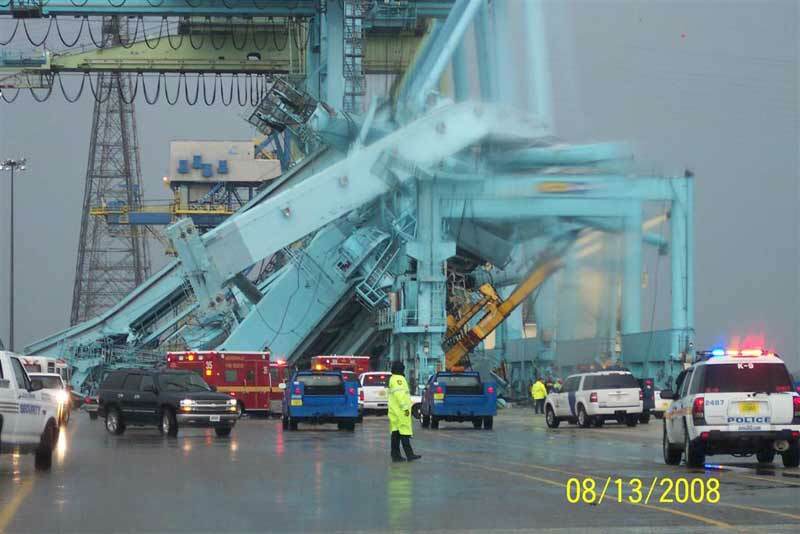 Arend said an operator was in the crane at the time it punched through the bridge deck, but was not injured. No one was injured on the road below. 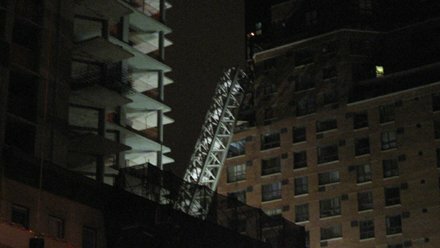 Arend said the crane was doing some preparation for demolition work that was to take place this weekend. 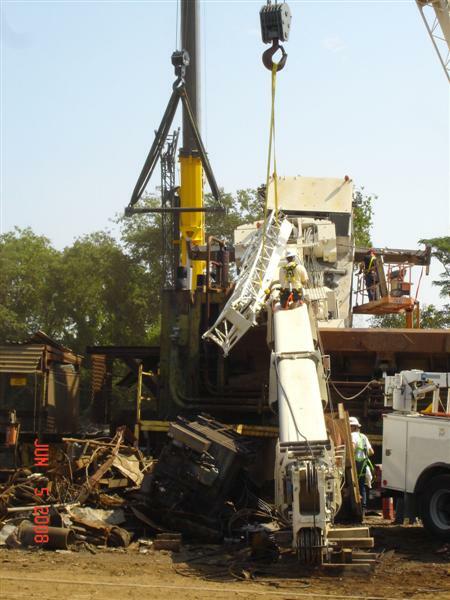 The crane apparently sank through the bridge deck due to some cuts that had been made in the pavement near where it was sitting, Arend said. After the smaller crane was lifted off the bridge, the eastbound side of M-14 was reopened at about 6:30 p.m., Arend said. Arend said MDOT officials decided to go ahead with the demolition work and kept the westbound lanes of M-14 closed. 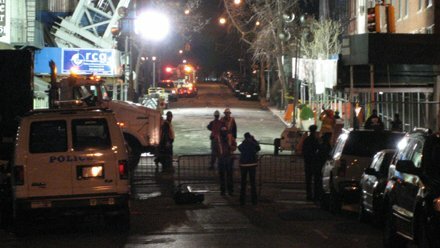 Those lanes were reopened at about 3:30 a.m. today, Arend said. Workers intended to demolish the deck and railings on one lane of the two-lane bridge this weekend as part of a series of repairs to M-14 bridges in Washtenaw County. 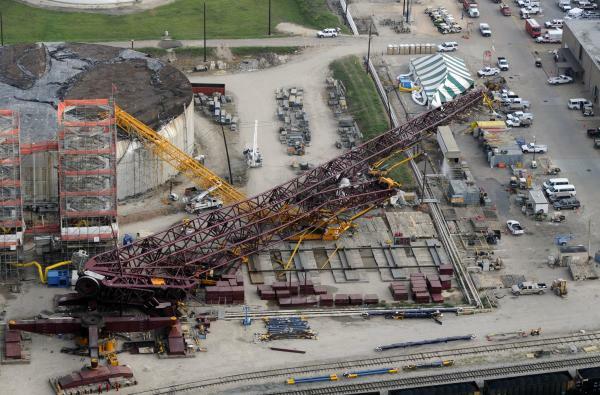 Eastbound M-14 will be closed as scheduled from 10 p.m. Saturday to 5 a.m. Sunday to allow the rest of the bridge lane to be demolished, she said. Arend said that the bridge beams, which helped keep the crane from falling through to the road below, do not need to be replaced. ALAN WARREN | THE ANN ARBOR NEWS Officials inspect a construction crane that partially collapsed through the deck of a bridge over M-14 on Gotfredson Road in Salem Township on Thursday afternoon. 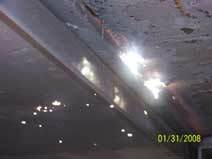 Debris fell onto M-14, but there were no reported injuries. 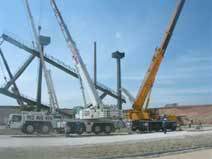 ALAN WARREN | THE ANN ARBOR NEWS Part of a construction crane hangs through the deck of the Godfredson Road bridge over M-14 in Salem Township on Thursday afternoon. 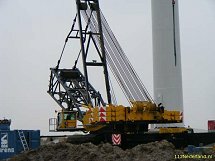 This crane is the same one that was used to pull my 75 ton off the mall 4 years ago! 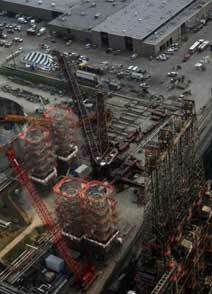 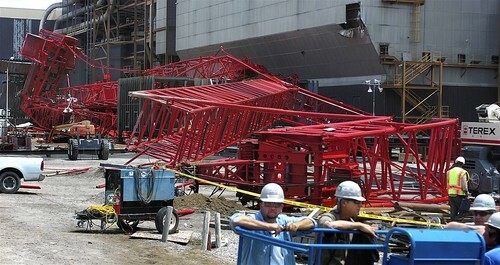 A 15-story crane capable of lifting 100 tons lies on its side after collapsing May 24 at a construction site at the Kansas City Power & Light's power plant in Kansas, killing one worker and injuring three others. 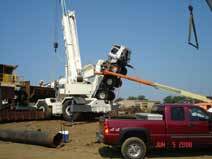 The operator, who was actually the salesman delivering the crane, rotated the house while it was still on the lowboy. 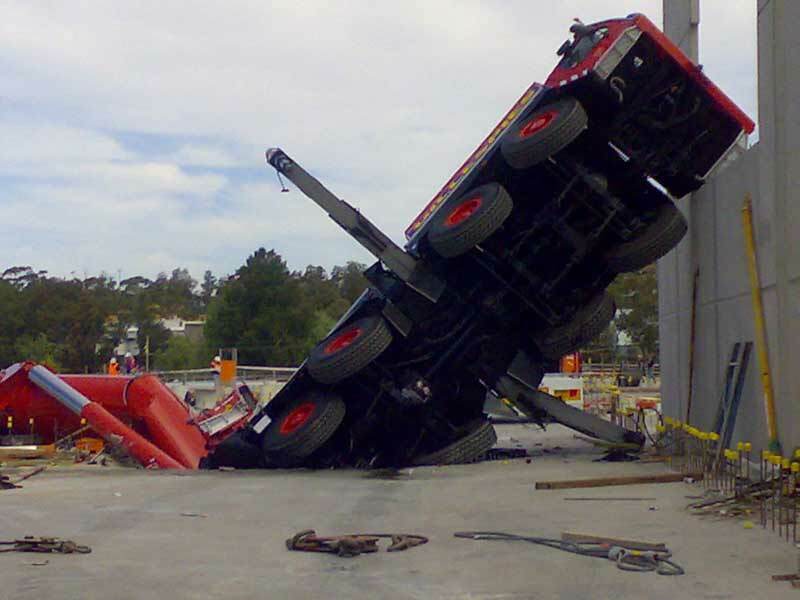 No injuries. 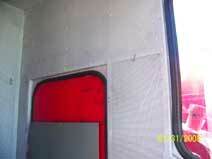 Check out the pictures provided you. The men in this basket were 80 feet in the air when the wire ropes came out of the drum, the men had enough time to release the safety equipment they were wearing and jump out of the man basket. No one was injured. This is the same company that owned the 4100. 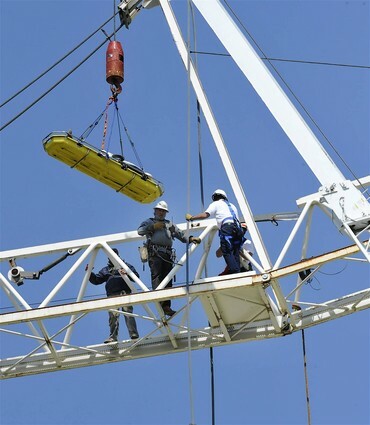 The crane that was lifting this man-basket USED a worn out part HOLDING THE CABLE IN THE DRUM. 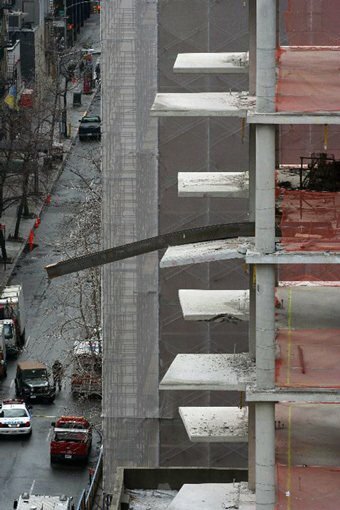 2008-02-04: Not a Mishap.... yet. 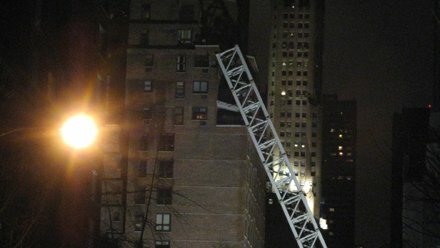 This is an interesting event of hypocrisy. 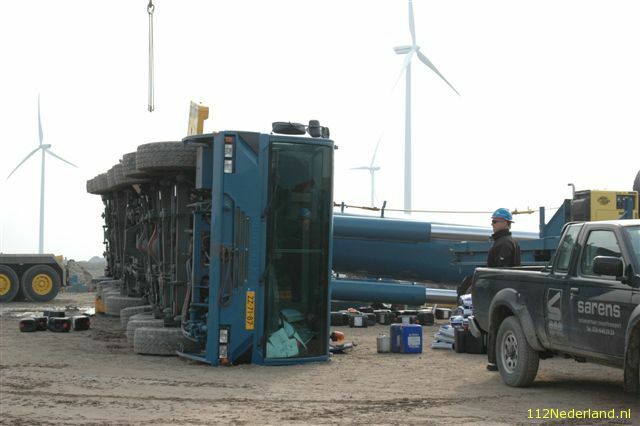 What do they say after an accident? 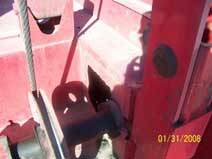 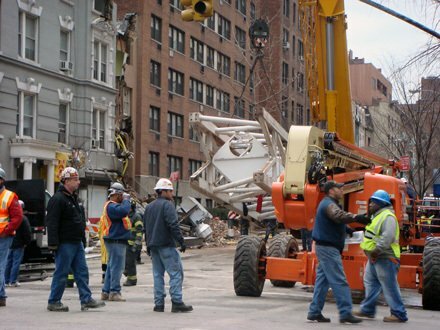 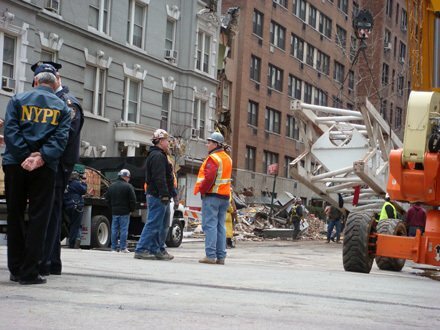 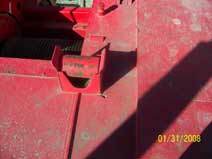 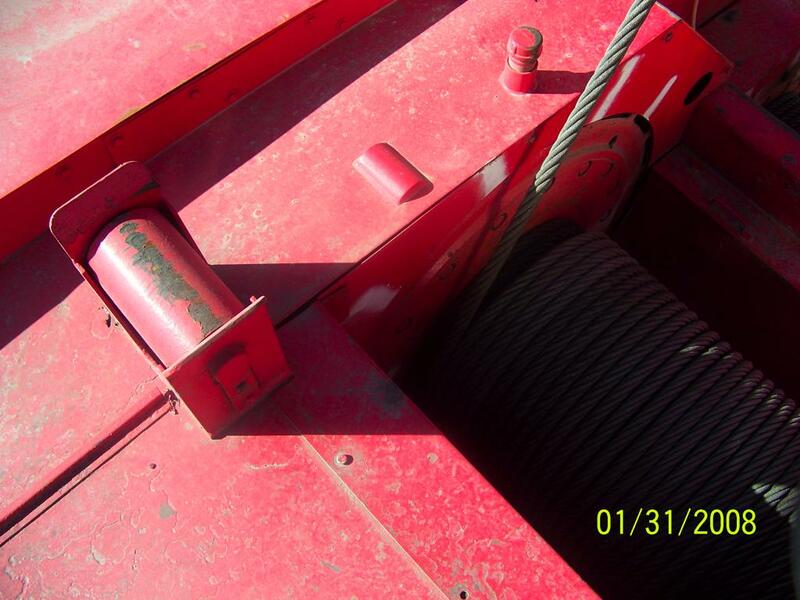 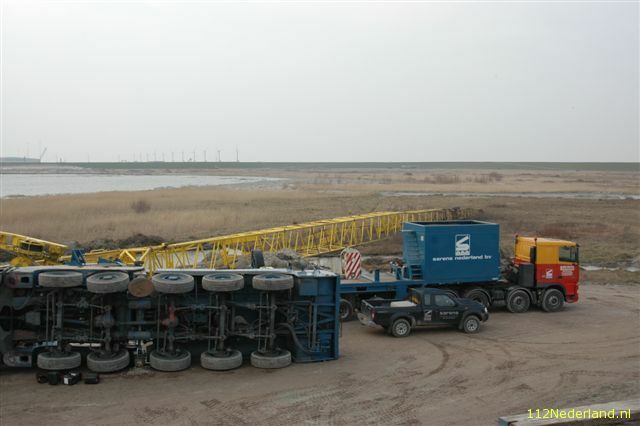 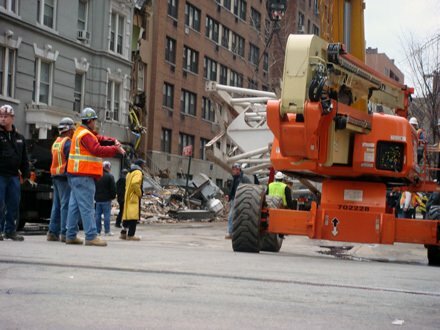 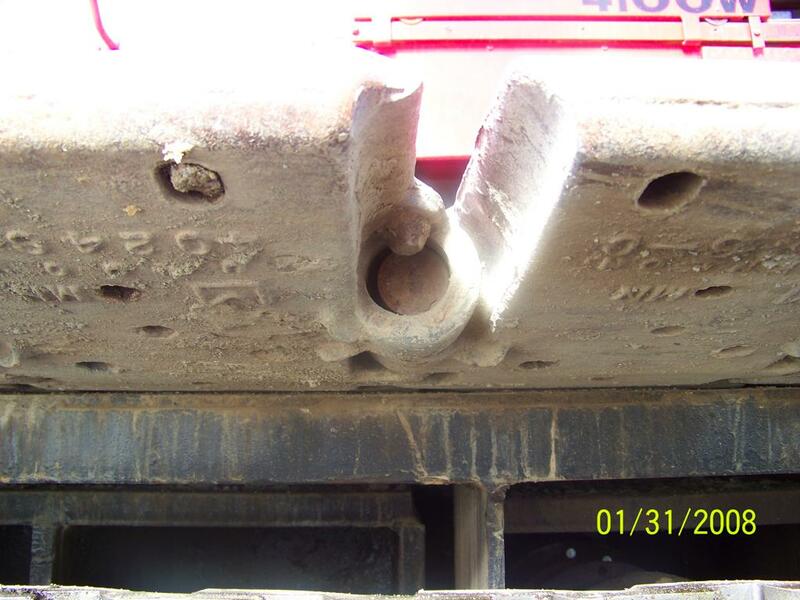 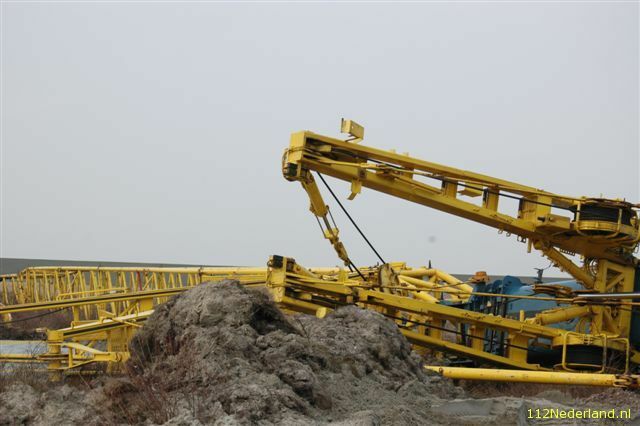 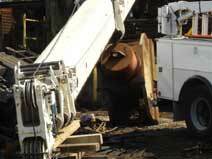 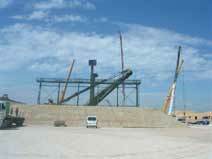 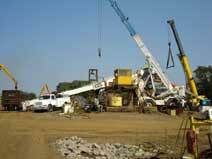 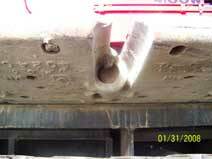 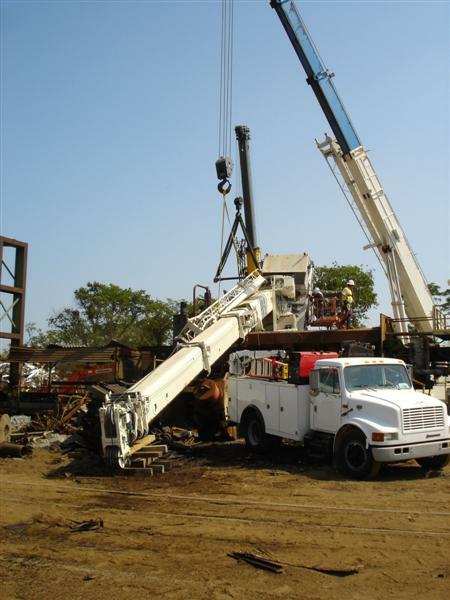 A company rented a crane that was inspected on 1-14-08 and passes by the crane rental company. 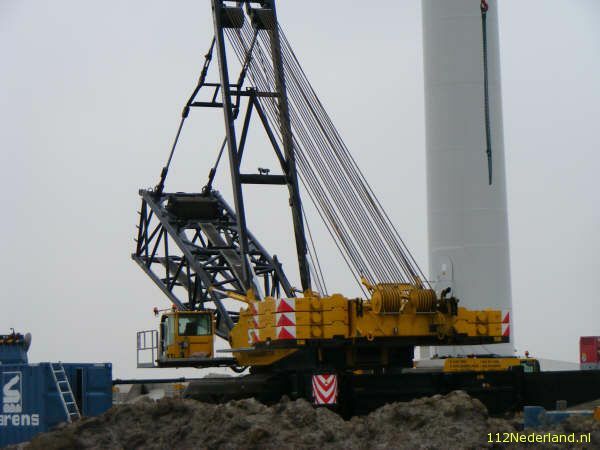 Then on 1-16-08 the crane was inspected by a third party and passed in a few hours. 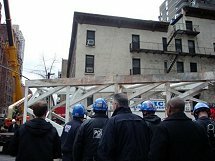 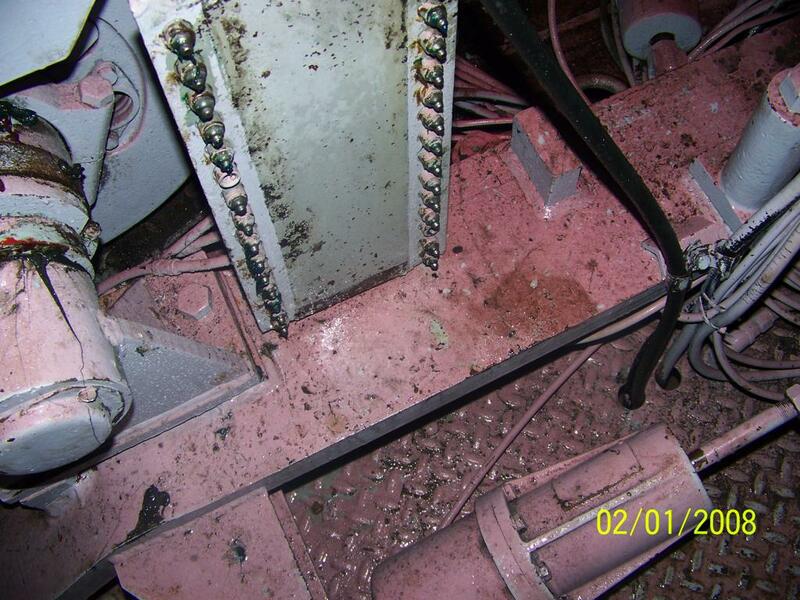 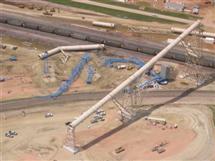 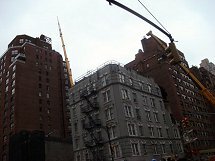 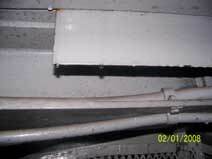 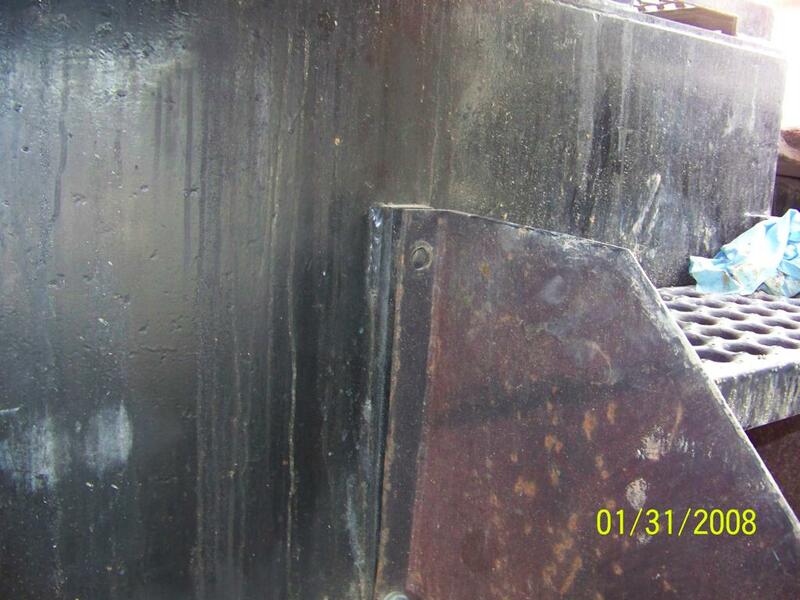 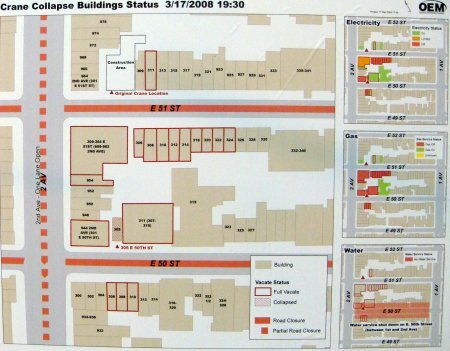 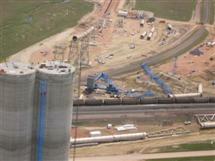 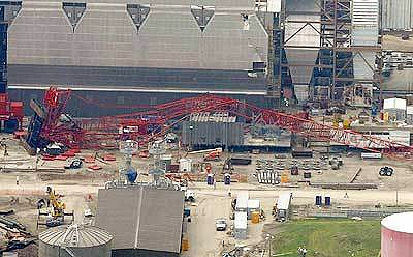 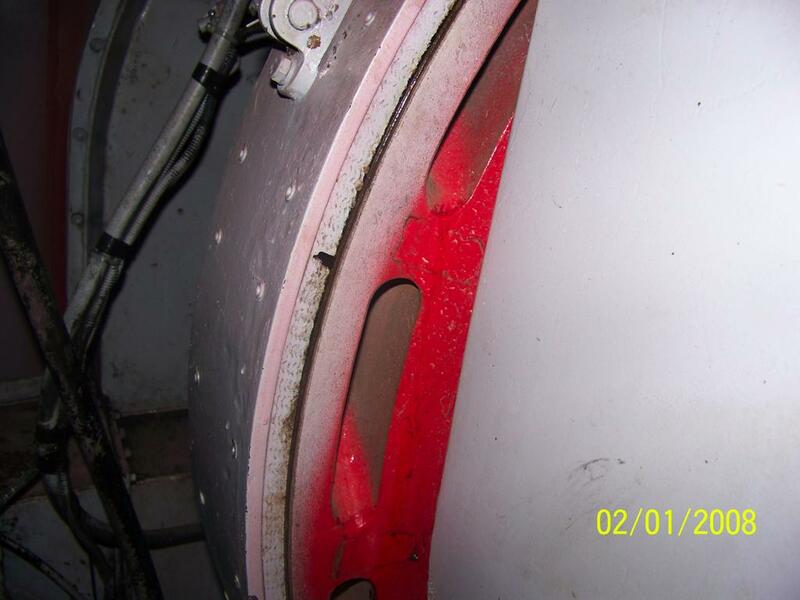 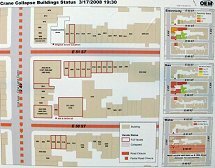 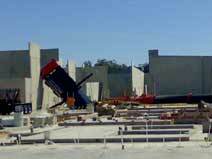 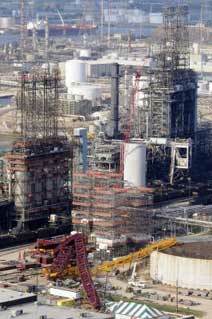 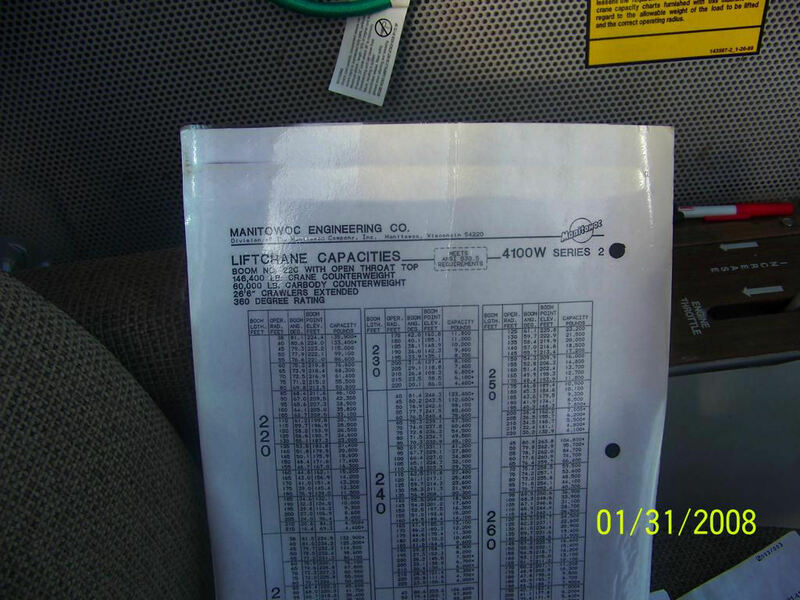 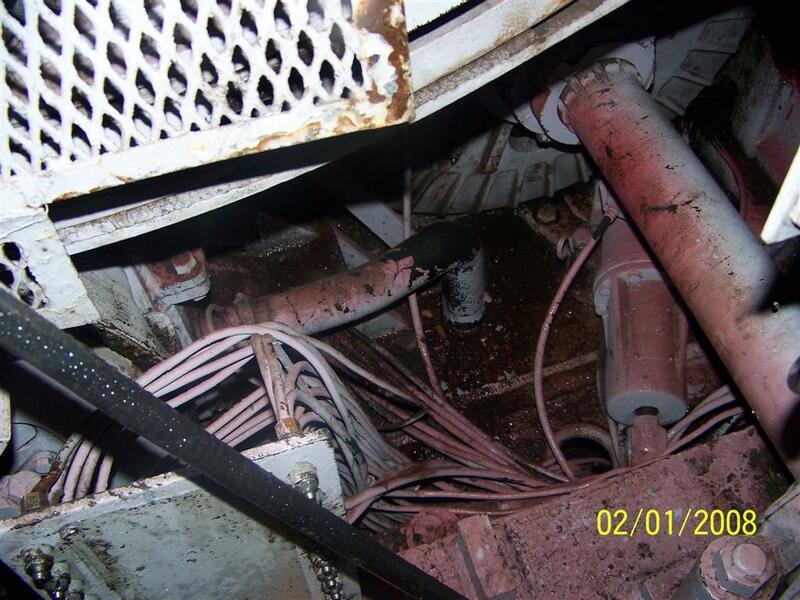 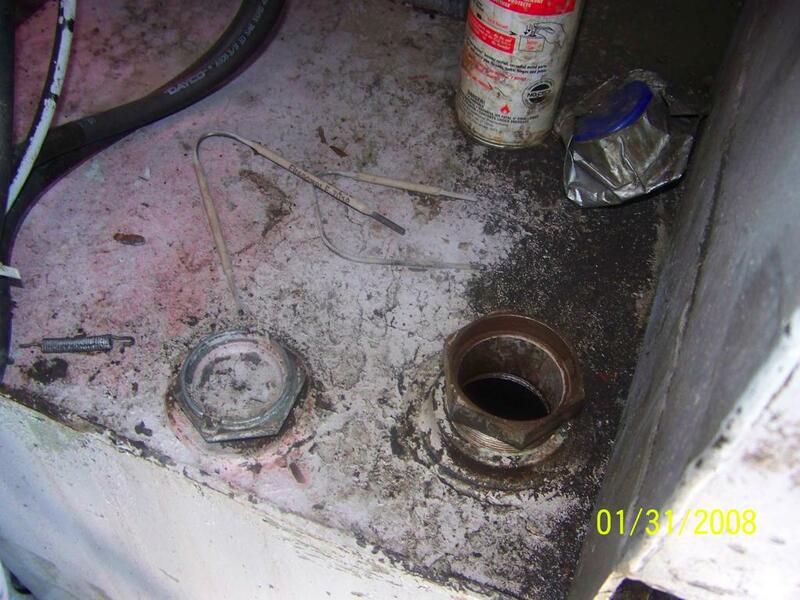 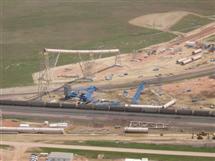 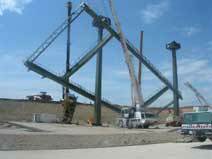 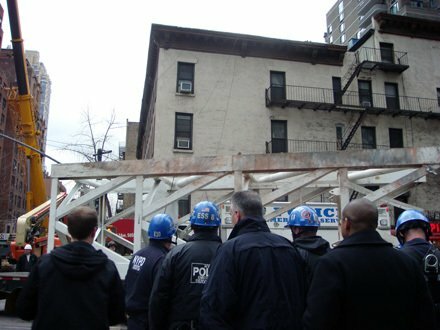 Then on 1-31-08 it was inspected by a professional crane inspector approved by Federal OSHA and failed, see pictures. 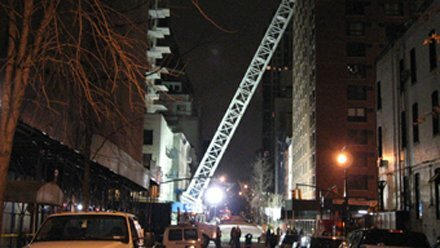 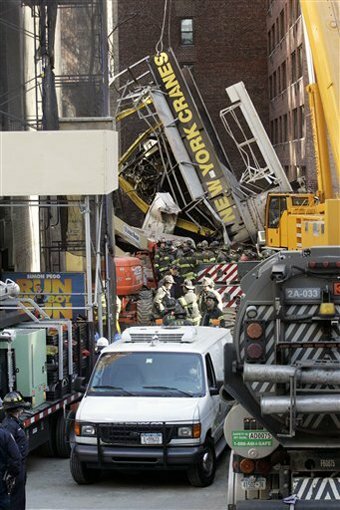 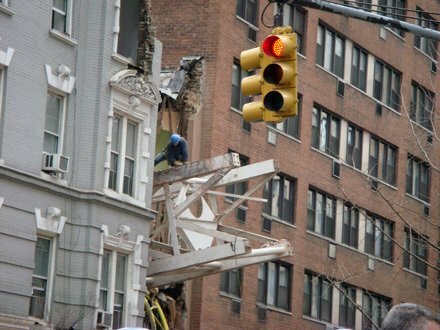 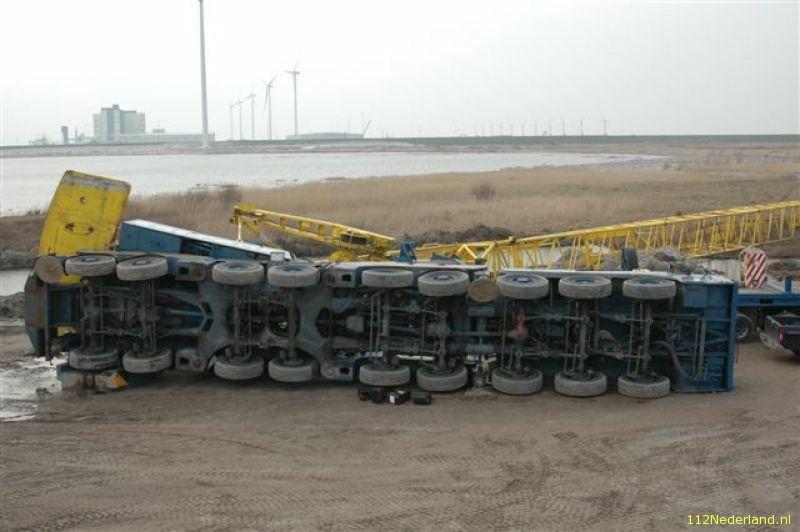 The company that rented the crane knew something was wrong with it when it arrived on their site. 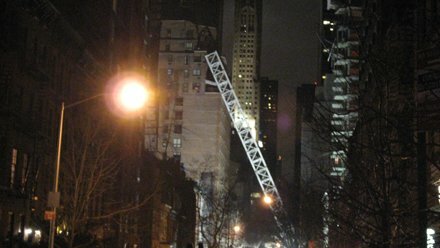 This crane came from a long distance, and the crane rental company erected it. 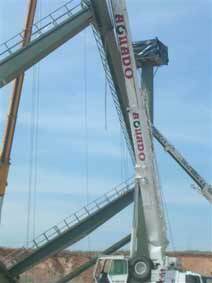 The crane was a Manitowoc 4100 series 2. 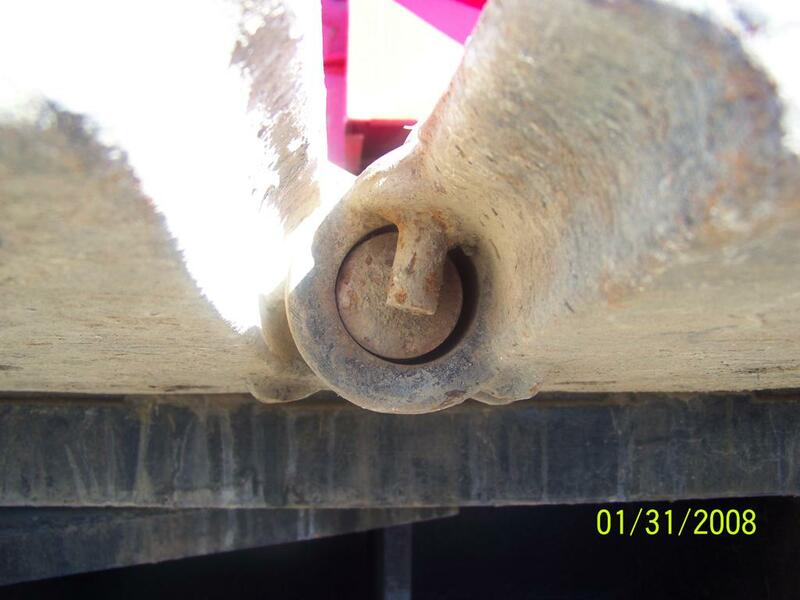 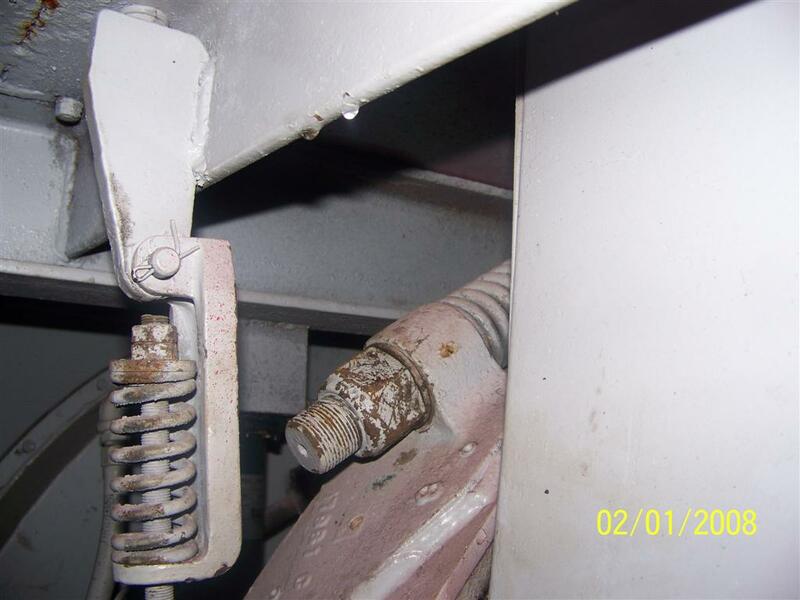 Listed below are the deficiencies that were found: The hook rollers were out of adjustment, and the house moved up and down. 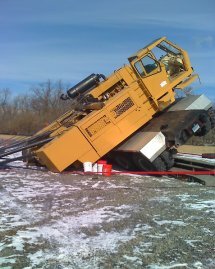 The cable rollers fell out of the boom when they were walking the crane. 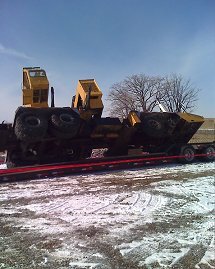 The drive chain broke two different times. 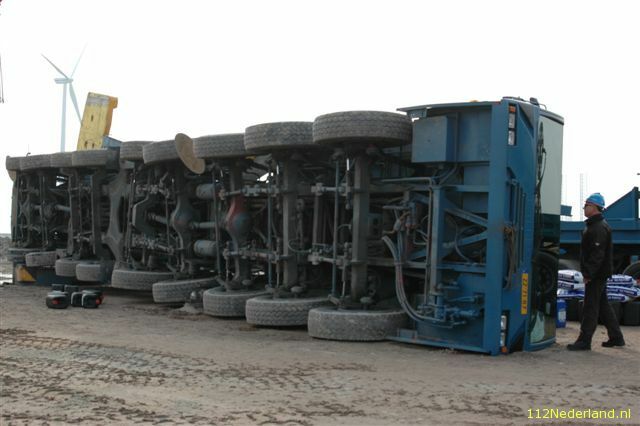 The anti-skid was missing. The machine was dirty. Guards were not secured. 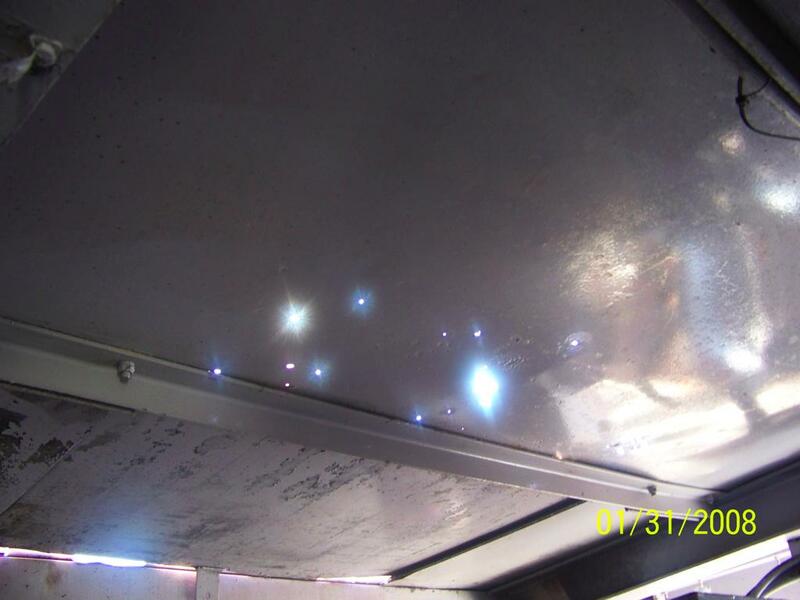 Sheet metal on the roof had holes. 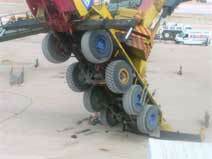 The boom angle indicator was sticking. 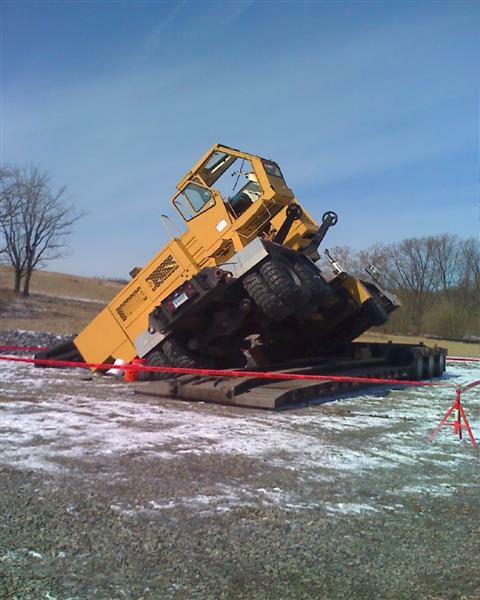 The caution and warning signs were missing. The dome light not working. Gauges were not working in cab. 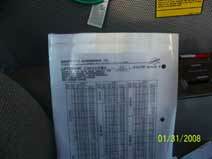 Load charts were the wrong ones for the unit. 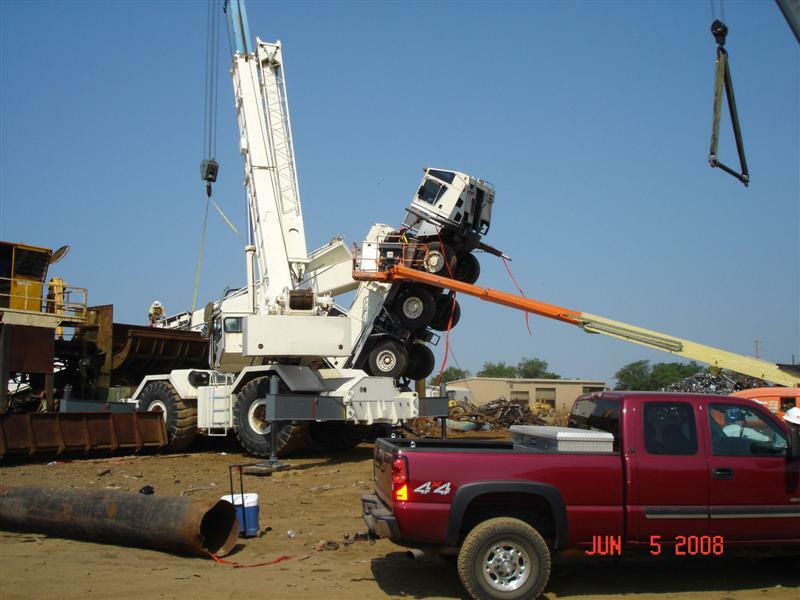 The crane would not start without the help of a crane mechanic. 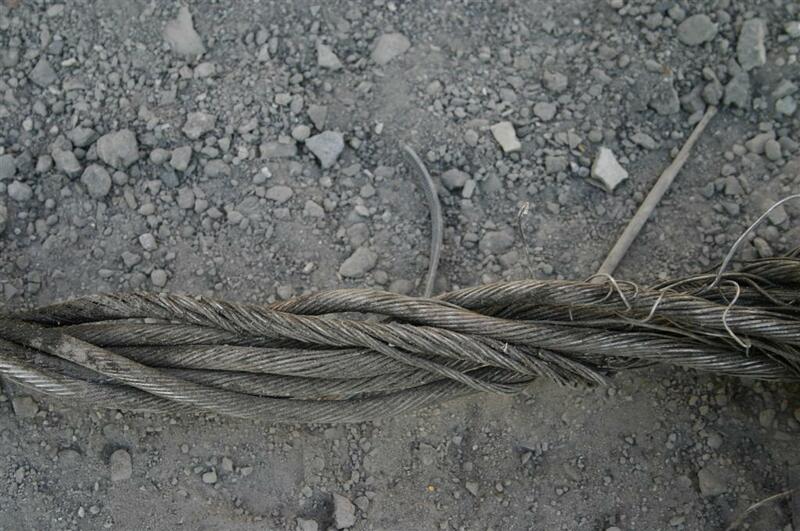 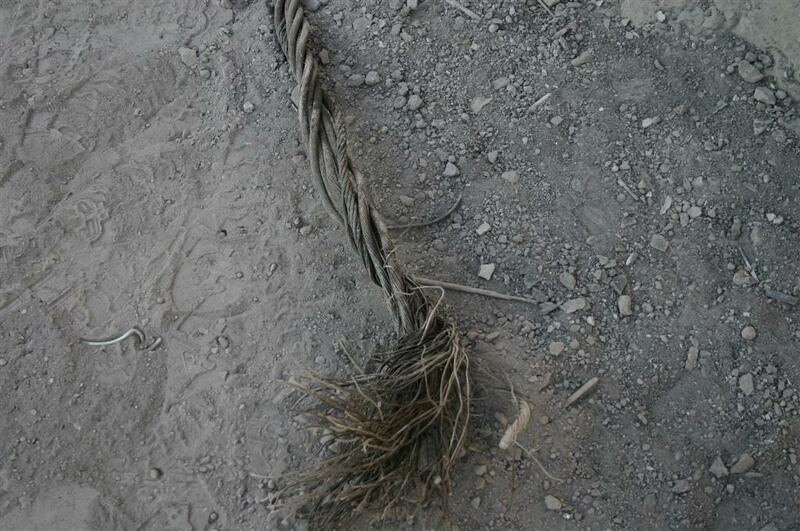 There were gaps in the wire spooling. Large cut holes in the house above the boom hoist drums. 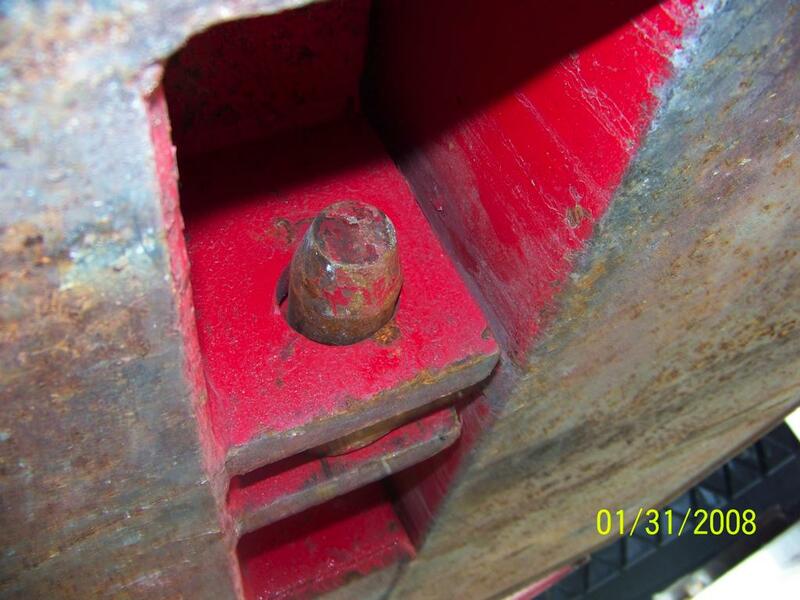 Counter weight cotter pins missing. 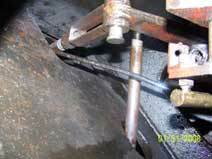 Large cut hole for retainer pins. 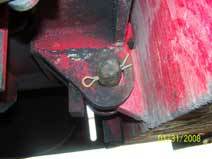 Wing counter weights were welded to the main counter weights. 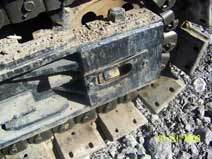 Car-body and tracks showed movement. 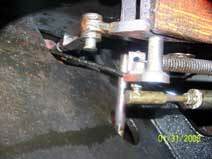 Steering adjustments out of adjustment. 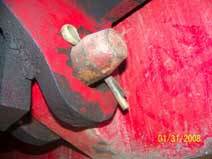 Steering & brake pins ready to fall out and upside down. The car body bolts able to turn by hand, tracks were worn-out, tracks out of adjustment, travel adjustment were out, operating controls were in backwards, no holder for the crane chart, load block had no tag, whip line ball had no tag. 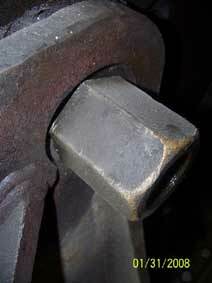 Now this is the interesting part that deserves the dunce award. 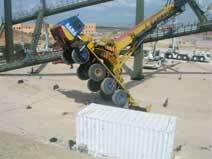 The rental company’s CEO was a board member of a prestigious company which certifies crane operators. 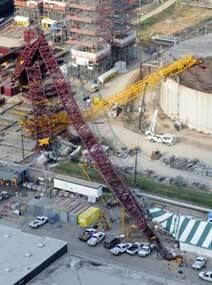 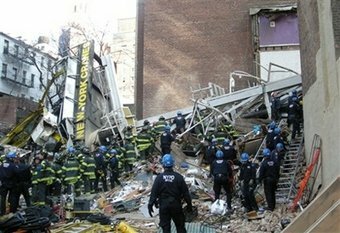 How do you account for such negligence by workers employed by leaders like this? Again we think that it’s all about the bottom line figure that counts above human life. If you are a crane operator you are aware of all the responsibilities you have, and are required of you by federal laws. 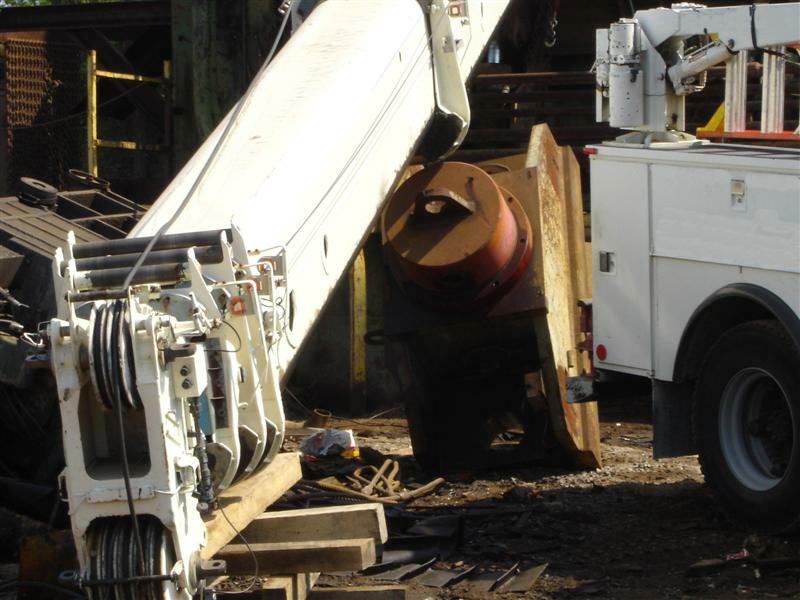 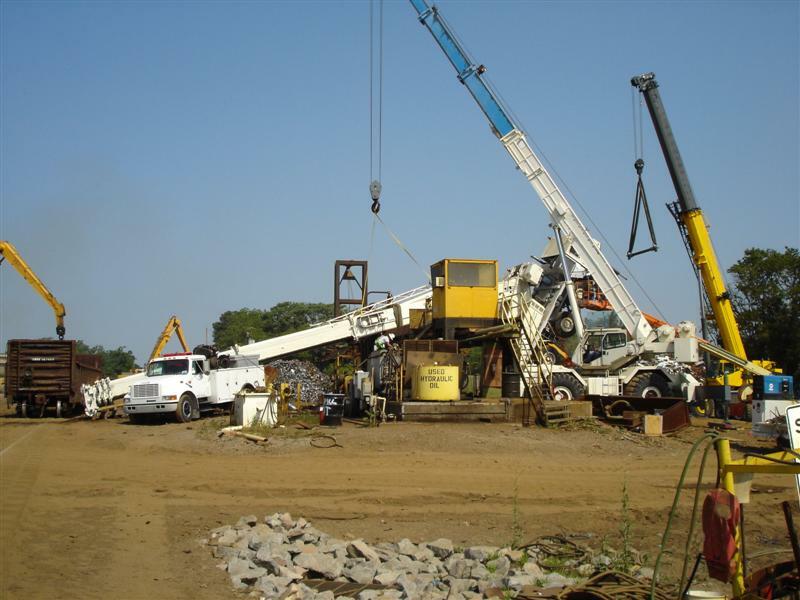 You would expect the equipment that is provided to you from a company whose CEO is on the board that sets the licensing for crane operators would issue a safe crane with the same high standards that he requires of you. 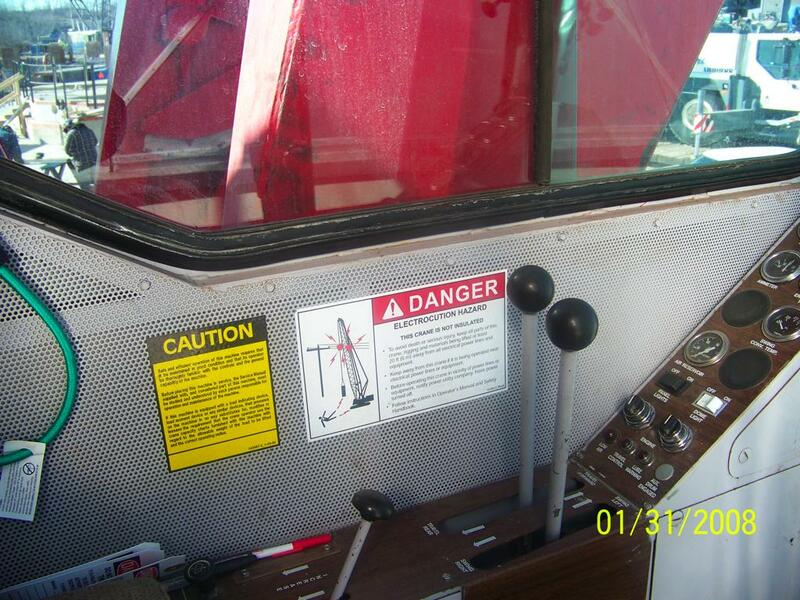 The crane rental Company personnel should have read this Sticker. 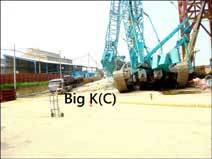 No holder for crane books & Load chart. No Serial Number I guess we can use it on any 4100 Series 2. Rain on the deck from the holes in the roof. 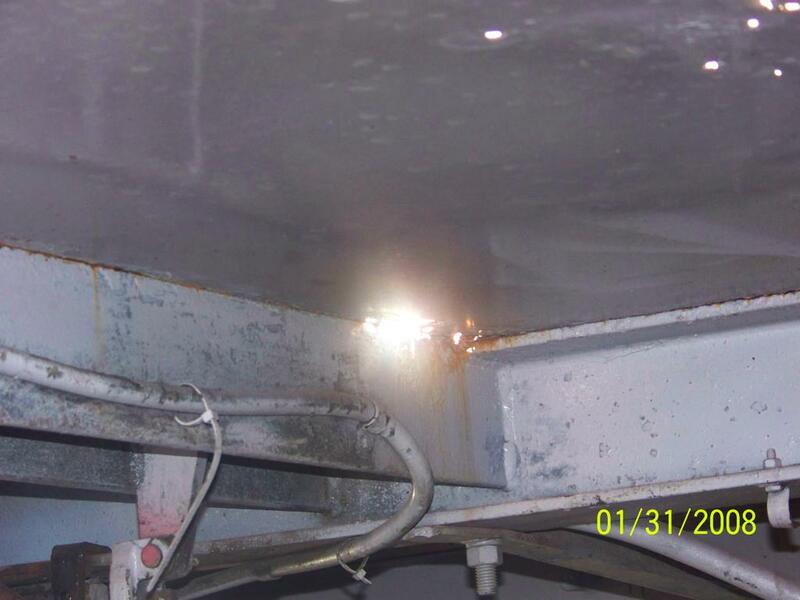 Just a few more holes in the roof. Holes cut in the house over boom hoist. 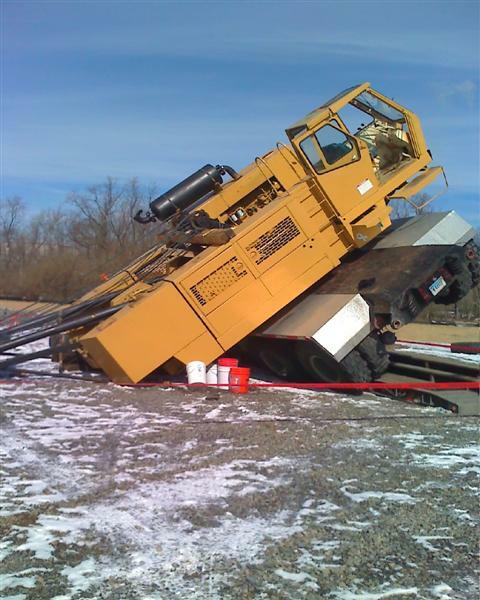 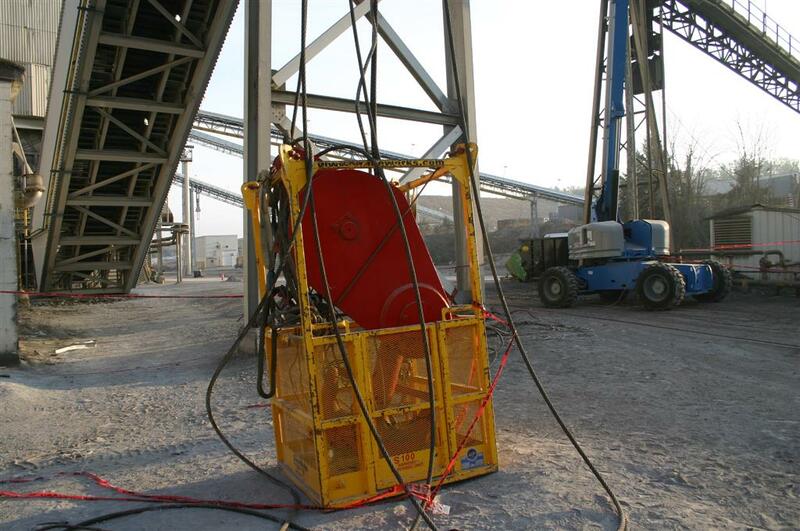 Designed to save time when fueling crane. Holes and more on the roof. Here is a seam opening. 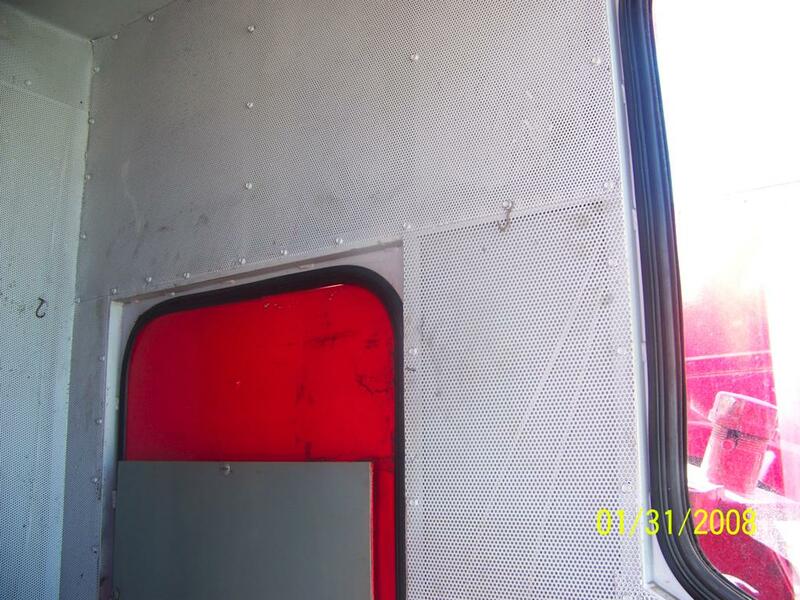 Holes cut in the side. New drive chains after the old one broke two times. Who cares if the pins are upside down if it’s for the tracks we were on level ground. 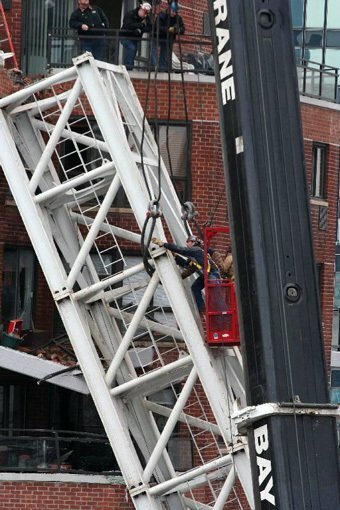 Crane operators steps not bolted. Loose fitting counter weight pins it seems to be the story of this crane loose fitting. 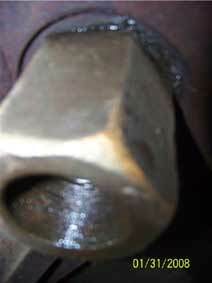 Brake is wet from the rain drops. 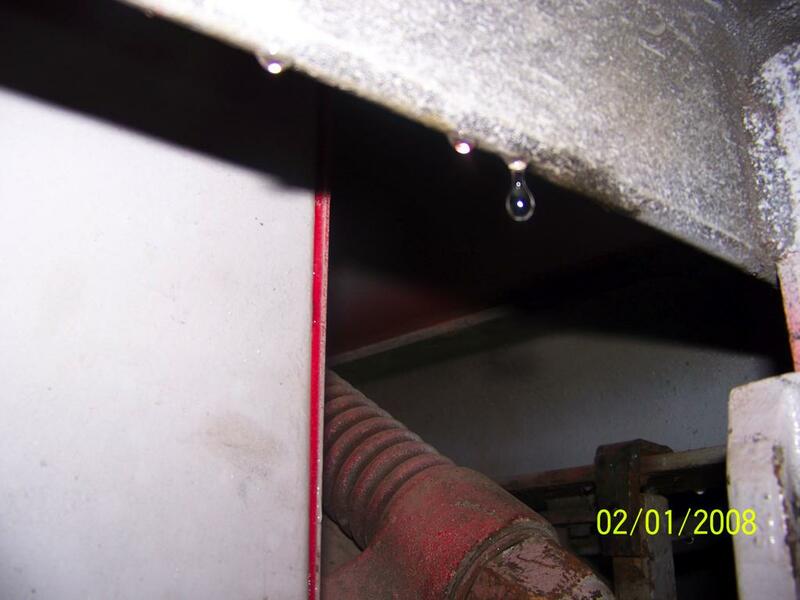 Rain drops just keep on falling on the brakes. 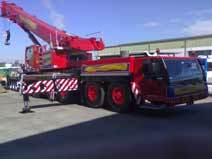 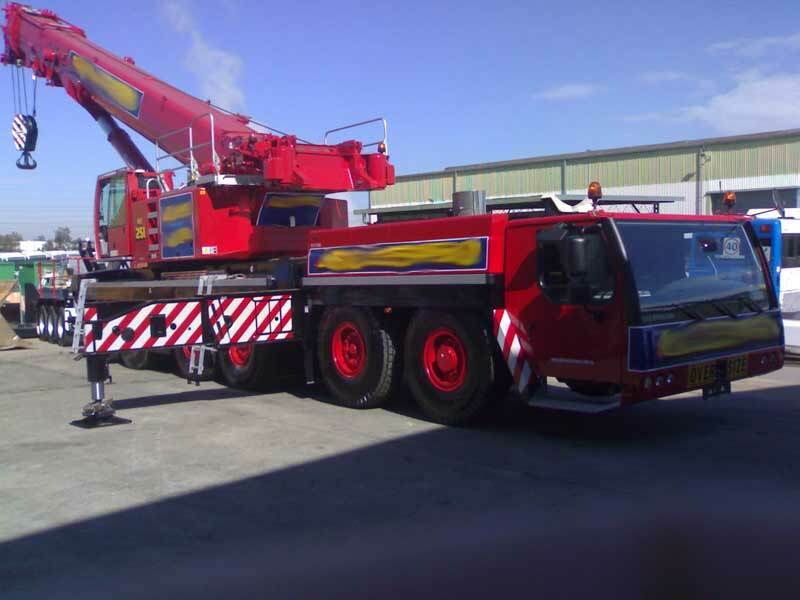 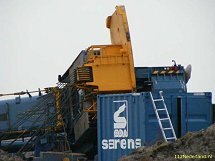 In this case our attendance was requested in order to investigate, ascertain the extension, causes and evaluation of the damages allegedly sustained by the mobile crane ATF 50-3 FAUN. 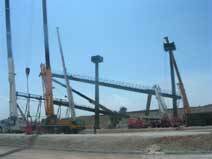 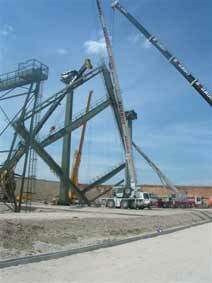 The crane was part of a team of four units, which were used to lift one steel structure for training parachutists at Madrid Spain. 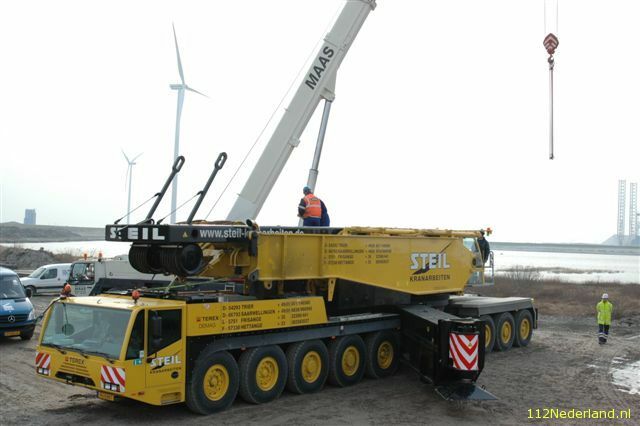 It must be pointed out that the weight of such structure was only of 40 Tonnes. 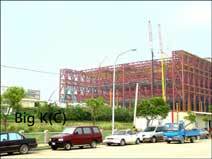 Of the four cranes used, the one with lesser capacity was of 50 Tonnes and is the unit subject of this report. 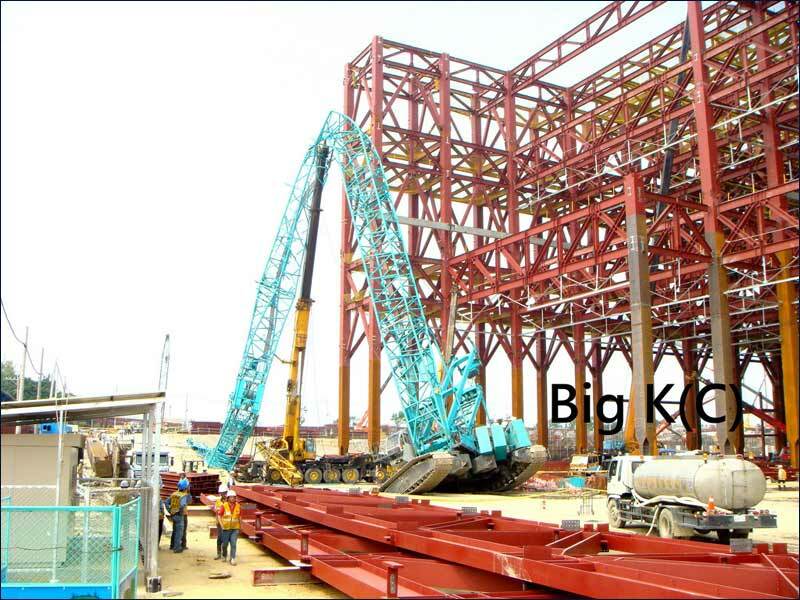 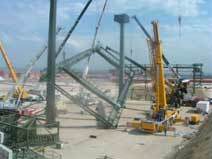 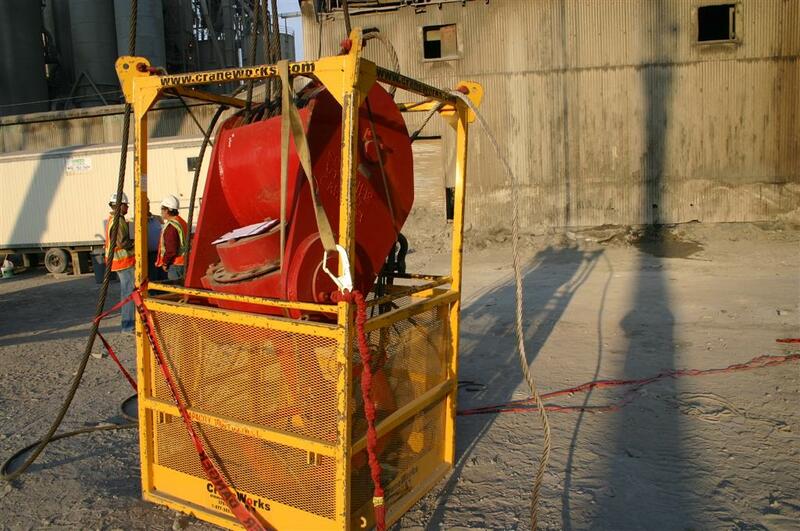 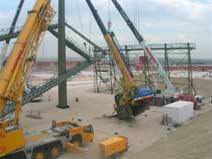 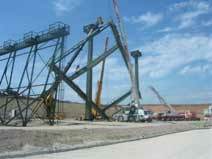 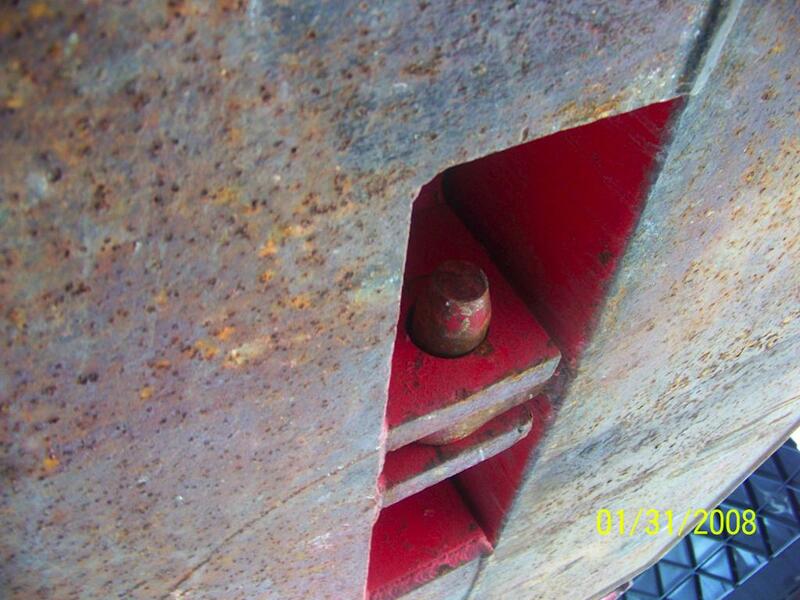 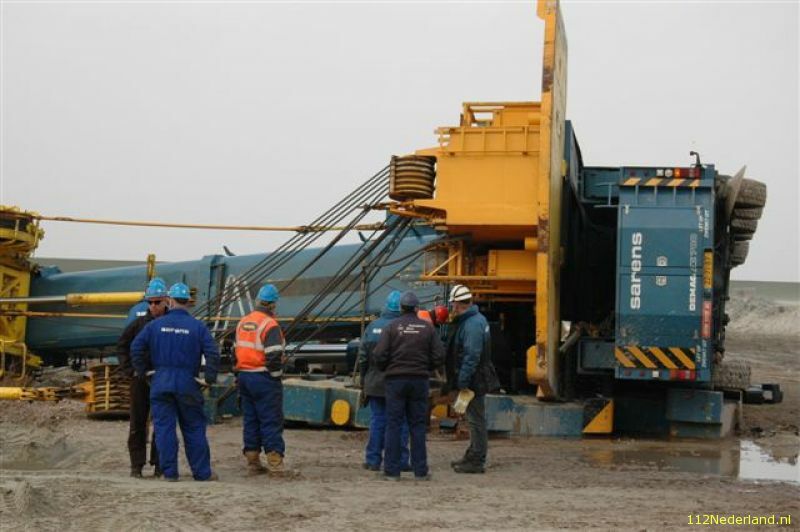 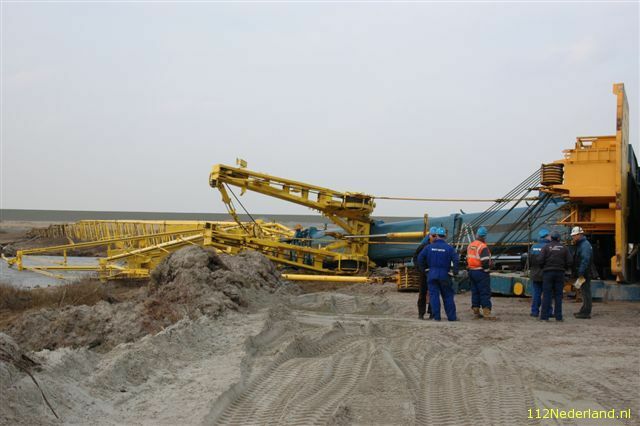 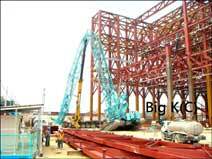 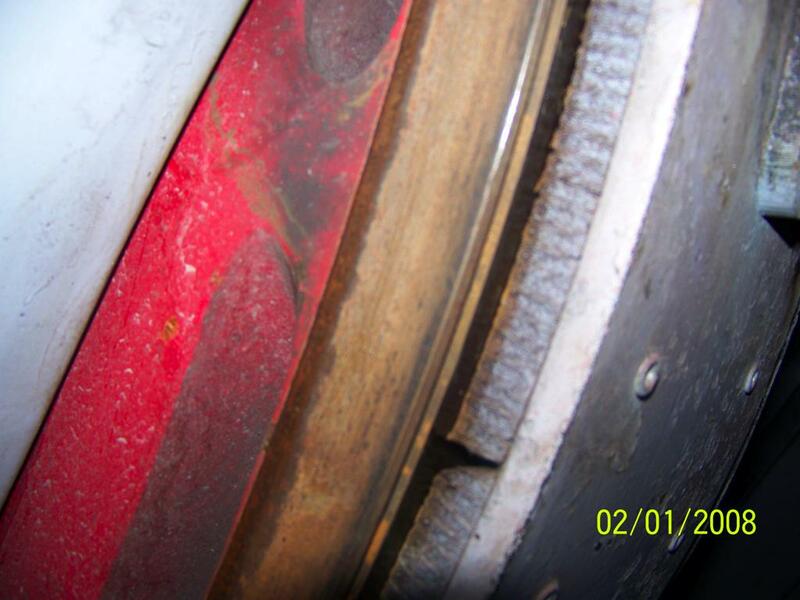 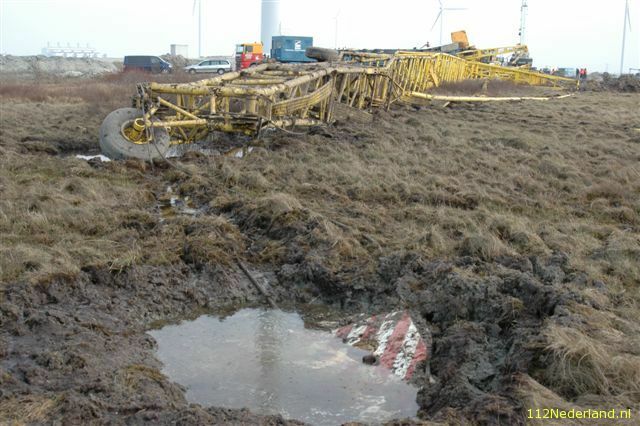 During lifting operations, the stabilizer plate of the forward left leg of one crane of 80 Tonnes cracked and broke. 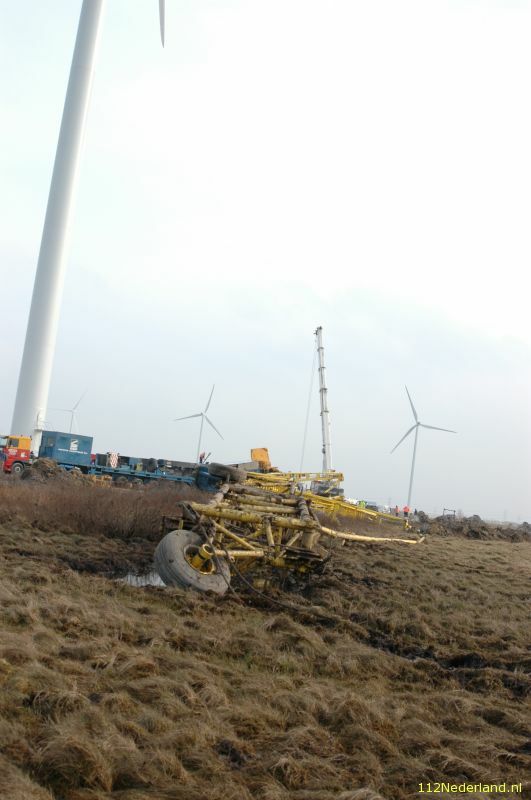 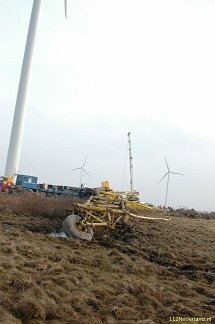 As a consequence the left leg was imbedded in the ground and the crane toppled forward, pulling the structure down to the ground. 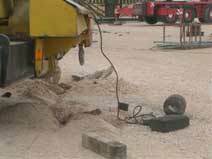 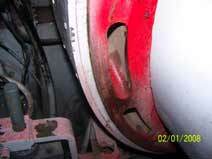 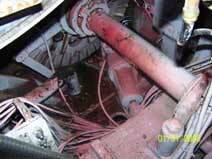 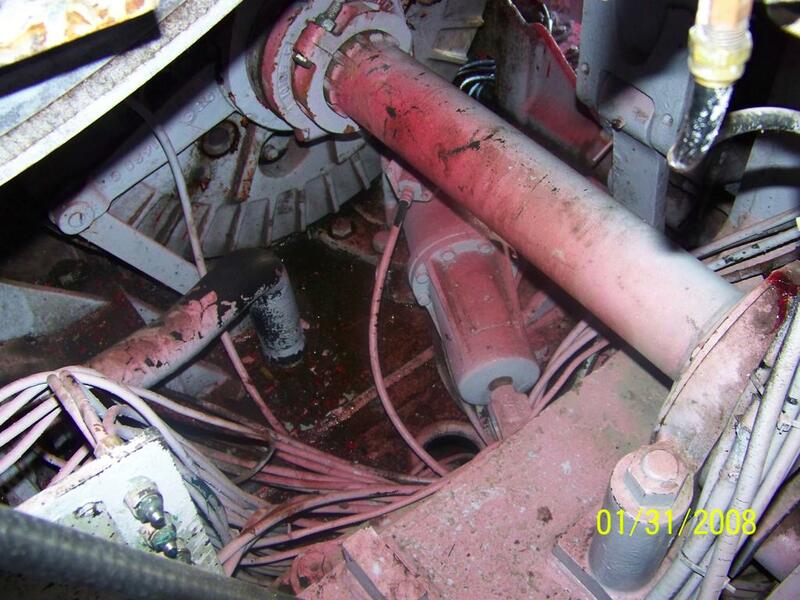 The force of the jerk caused the damages in the crane mobile crane ATF 50-3 FAUN. Based in al the above we concluded that the damages originated in the failure of the stabilizer plate (probably due to metal fatigue) of the 80 Tonnes crane. 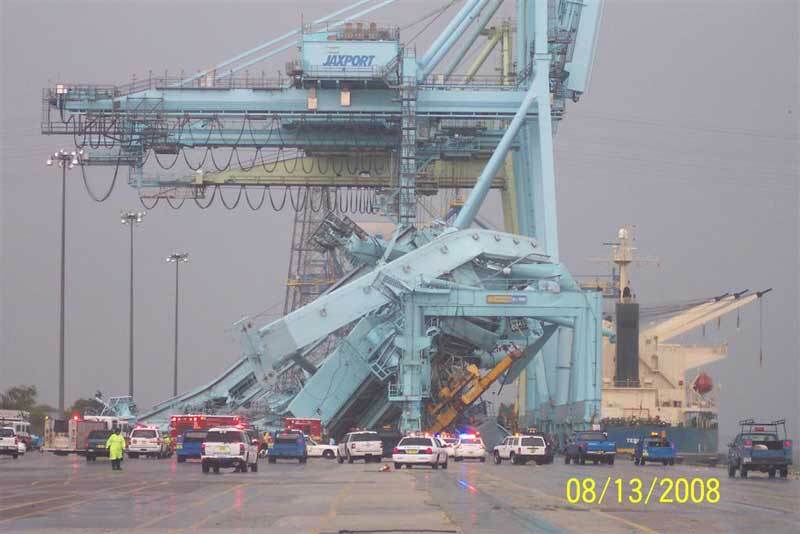 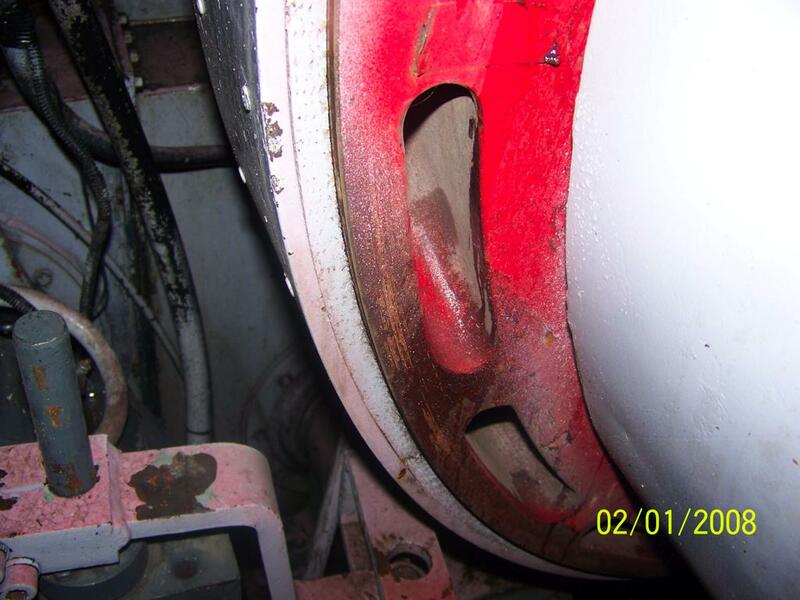 This failure triggered the chain of events leading to the incident.